We always wondered where that phrase came from - and if ever there was a good time to use it, this post is it as Chef Cheryl puts three brands of cookware to the test with a classic dish - er pan - of fried chicken. Assignment: Choose any product to highlight and become an “expert” in its use, best qualities and areas where another product might be a better choice for a specific function. We’ve used cast iron in my family for as long as I can remember - for everyday cooking as well as camping and at our cabin - so I already knew that my most beloved cookware line is Lodge Cast Iron, especially the frying pans and griddles. 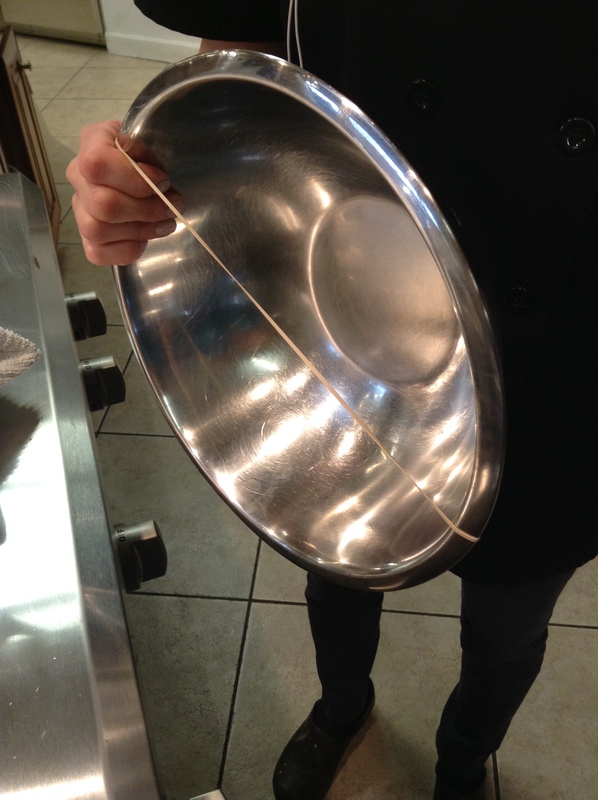 One of our heirloom frying pans has been in the family for six generations now. I love the Lodge line, not only because of familiarity, but because it reminds me of the spirit of Alaska and the cast iron cookware that both nourished the founders of our cities, towns and villages, and became a metaphor to their fortitude and grit. I come from a family steeped in the traditions of Southern cooking, with an emphasis on the best-fried chicken to ever hit a plate. Well, that’s what I’ve been told by family and customers. 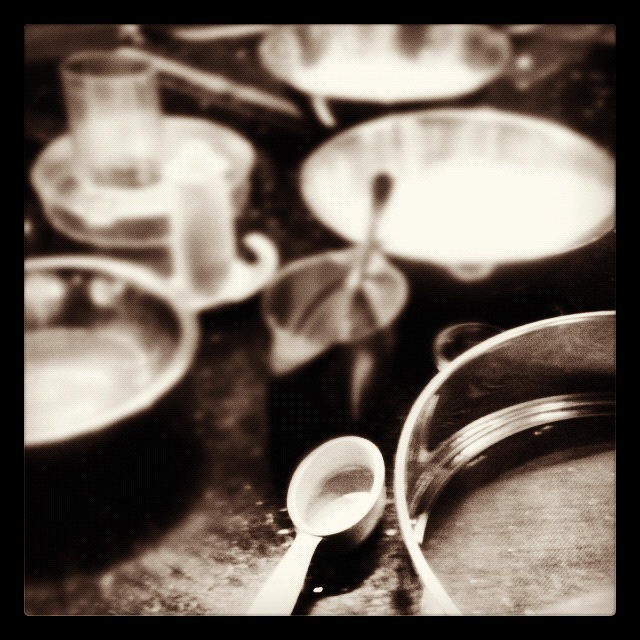 My pan of choice has always been a cast iron frying pan, because of the weight of the pan, the dispersal of heat and its ability to keep the oil at an even temperature, and returning it quickly after the addition of new food. 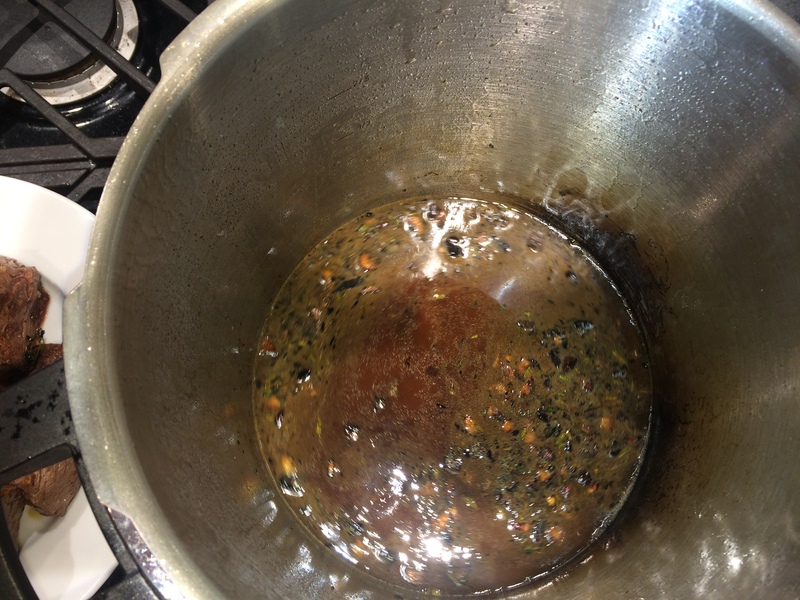 We all know that keeping the oil at a steady heat, not dropping by more than a few degrees, is crucial to even frying and slowing the absorption of oil into the food product. 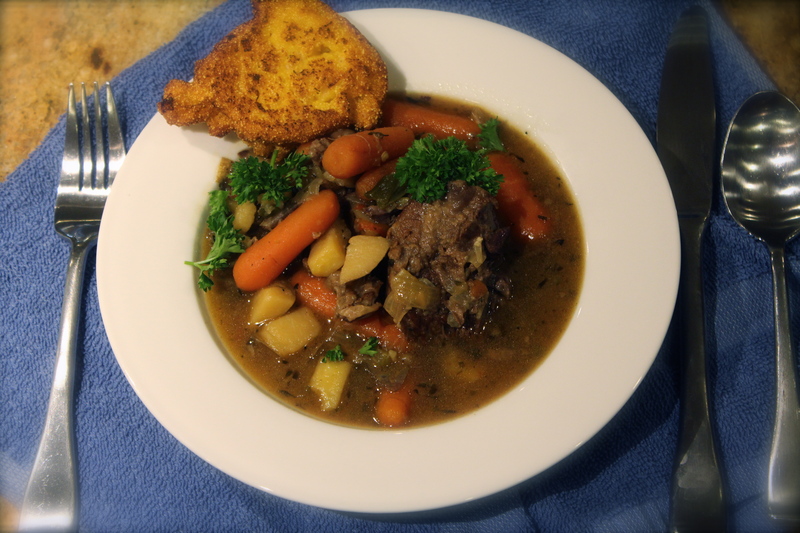 My hypothesis was that the Lodge skillet would hold the heat better than a non-stick pan or even a higher end, multi-layered stainless steel pan, and give a quicker, crisper crust and quick cleanup. 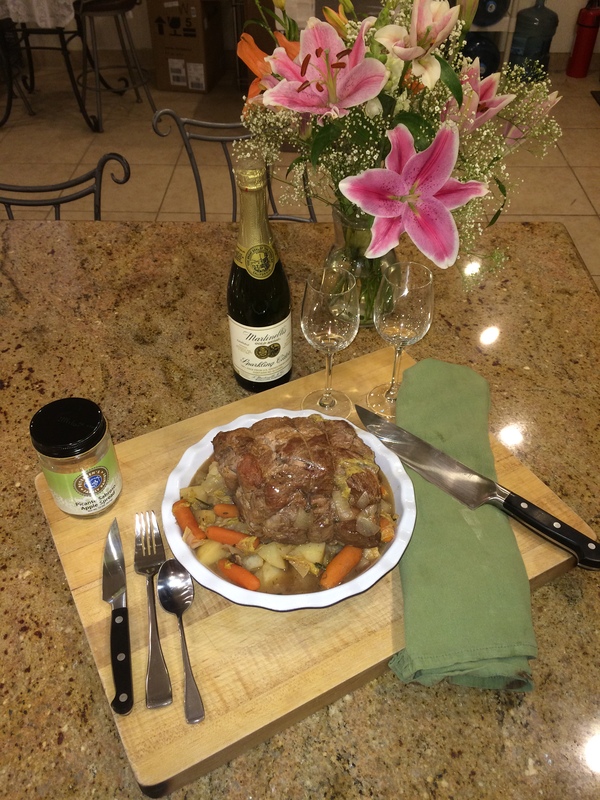 I based my hypothesis not only on traditional use of the cast iron frying pans for family use, but also from my experience as a caterer and working in professional kitchens. Clean and check over your chicken pieces to ensure they don’t have any little feathers hiding. If you have time, soak the chicken in a bowl with just enough milk to cover the chicken. 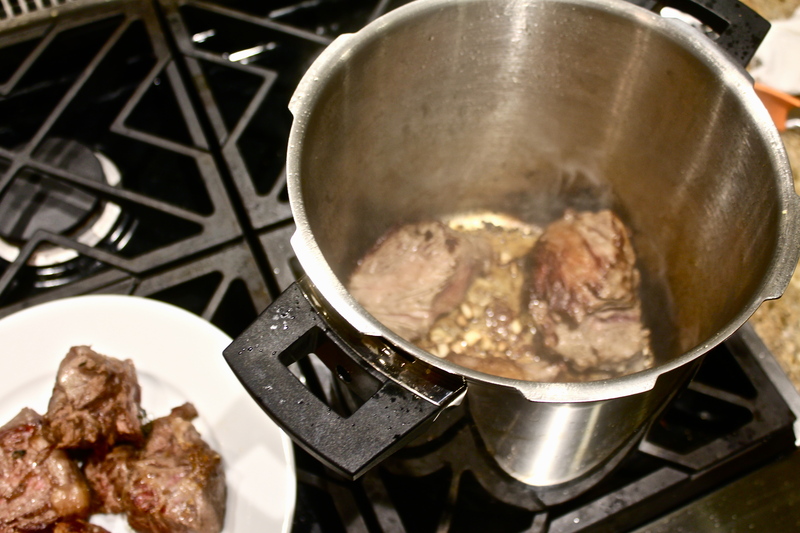 Discard the milk when ready to prepare the chicken for frying. Rinse the chicken and dry with a paper towel. 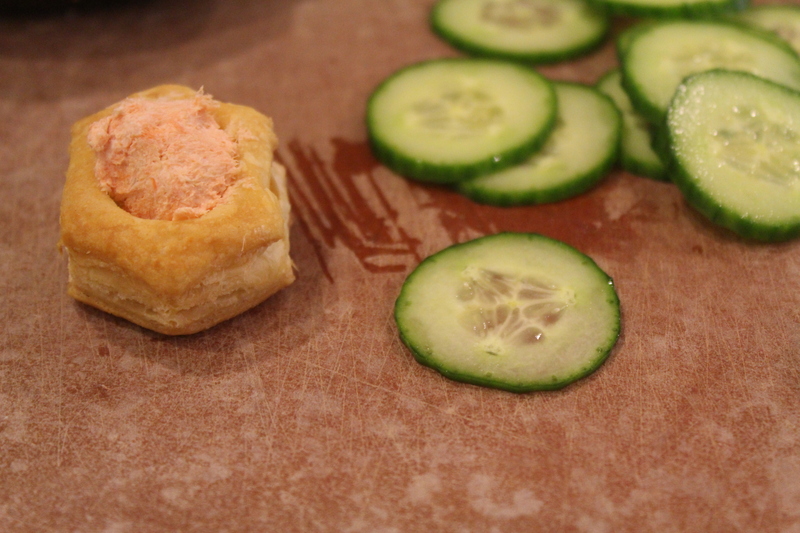 Lay the chicken in a single layer on a cookie sheet. Salt, pepper and sprinkle with cayenne pepper on both sides. 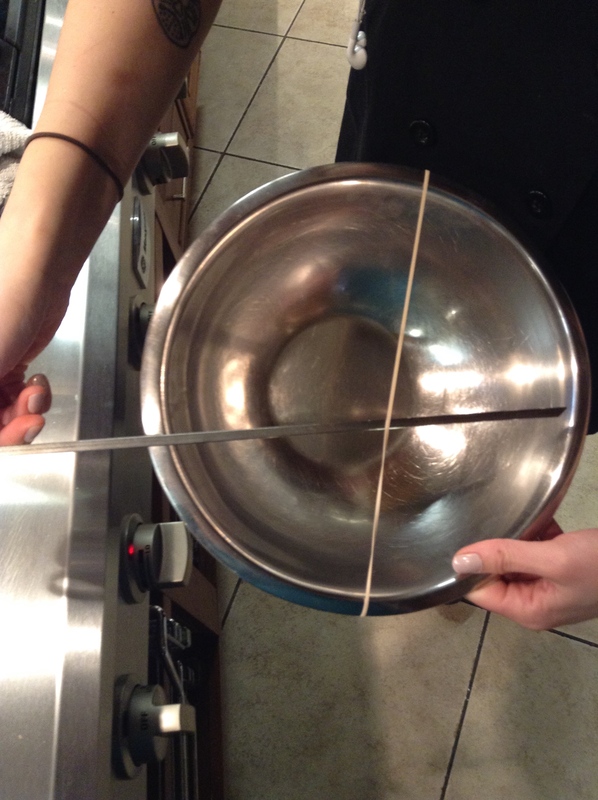 Place all three of the frying pans onto your stove, and add oil to a 1-1/2” depth in each pan. 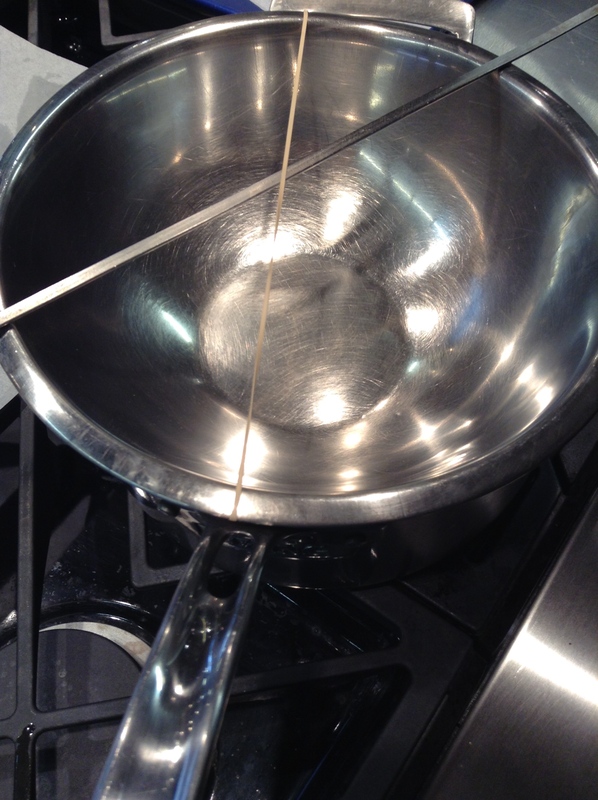 Adjust the heat under the pans to about medium/high, and allow the oil to heat while you coat your chicken pieces. In a small bowl, beat the eggs and milk. Set aside. 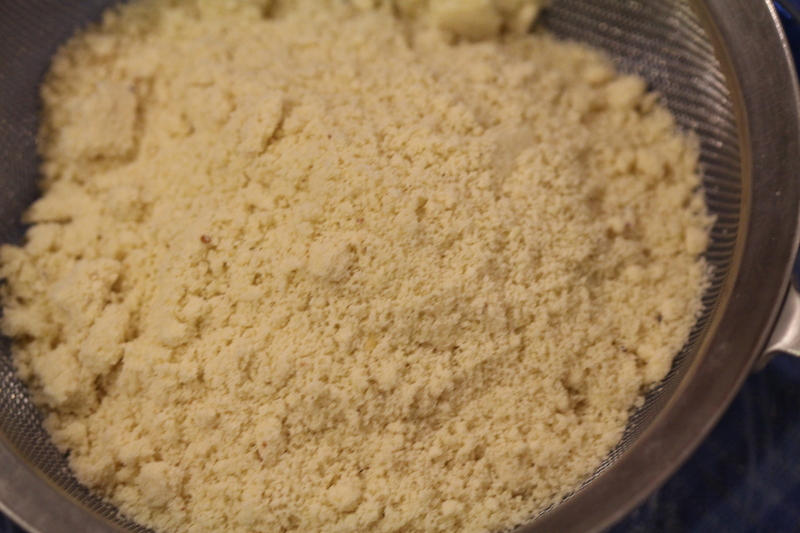 In a second bowl or paper bag, add the cornstarch. Set aside. 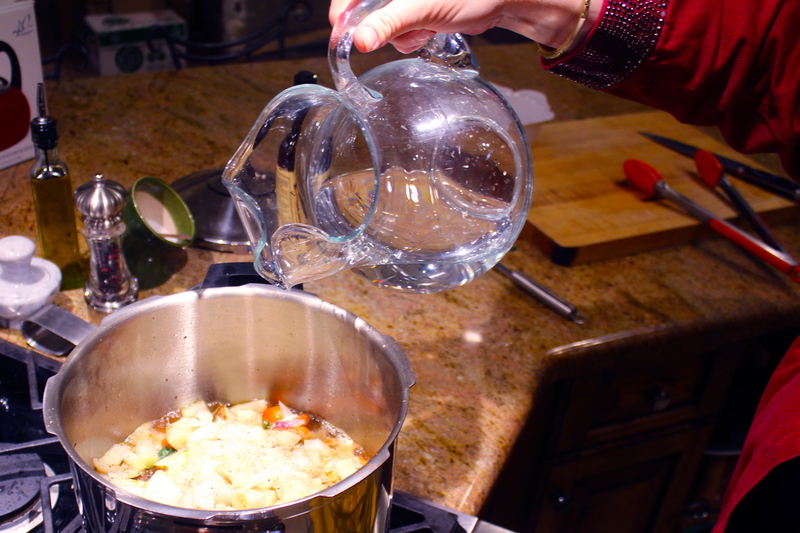 In a third bowl, or paper bag, add the remaining dry ingredients, and shake or mix well. Drop a few pieces of chicken into the bag / bowl with cornstarch and coat it. Shake off the excess. Next, dip the chicken into the egg / milk mixture, then drop it into the bag or bowl of flour coating and shake / toss well to coat. Place the coated pieces back onto the cookie sheet to rest for a few minutes, while you repeat the process until all of the chicken is coated. 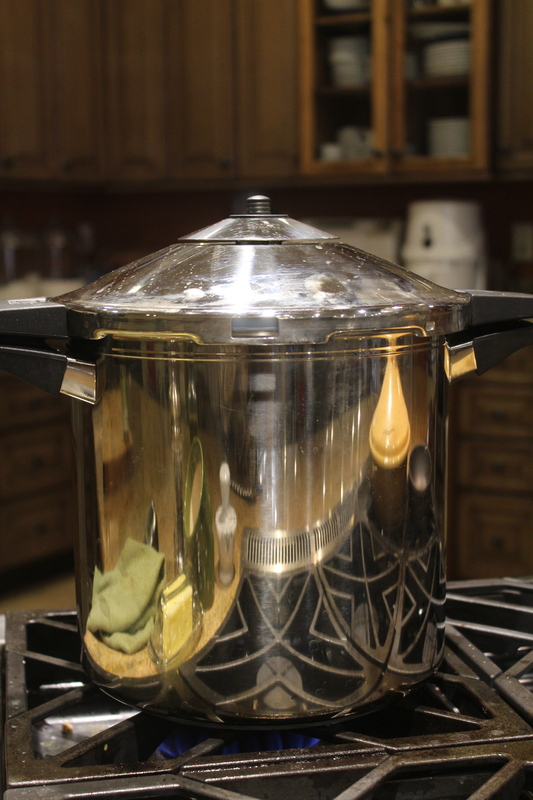 Test your oil temperature, bringing it to 375 degrees F. Your ideal temperature for frying is 350 degrees F, but the oil is going to drop when you first add the chicken, so bring it a little higher than you need to start, and adjust it after you add the chicken. Carefully place the chicken into the pans, ensuring that the pieces do not touch, or they will steam and you won’t develop the desired crunch on the coating. 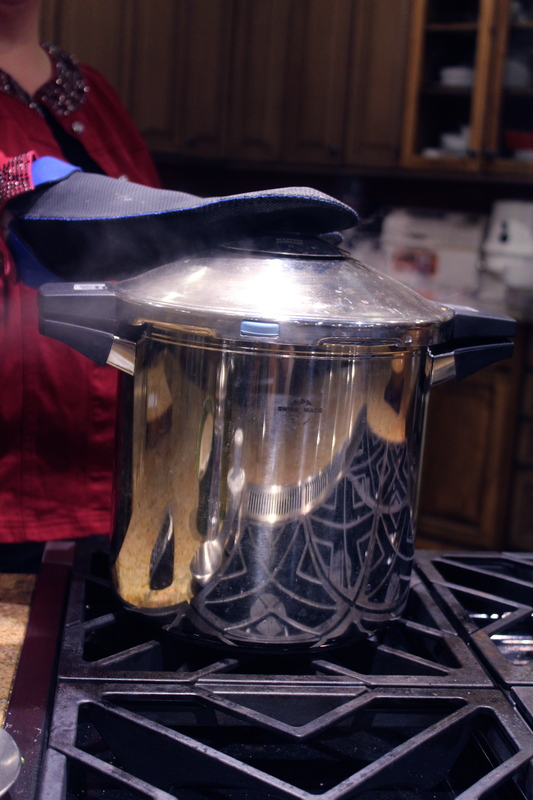 I used a splatter screen on each pan to help reduce the oil popping. Watching each pan carefully, I noted that the Lodge pan came up to initial temperature with heating the oil the quickest, followed by the All-Clad. It also caramelized the coating the fastest and most evenly, and brought the chicken to the desired 165 degrees F “done” temperature several minutes before the other two pans, and dropped the oil temperature the least with the addition of new pieces of chicken. When the chicken appeared to be finished cooking, I removed it to a wire cooling rack set over a cookie sheet, and checked the internal temperature to ensure it had achieved 165 degrees F close to the bone. As the chicken finished frying, I also separated it into three sections, so that it could be tested for meeting the hypothesis by my panel of seasoned judges, co-workers and customers. 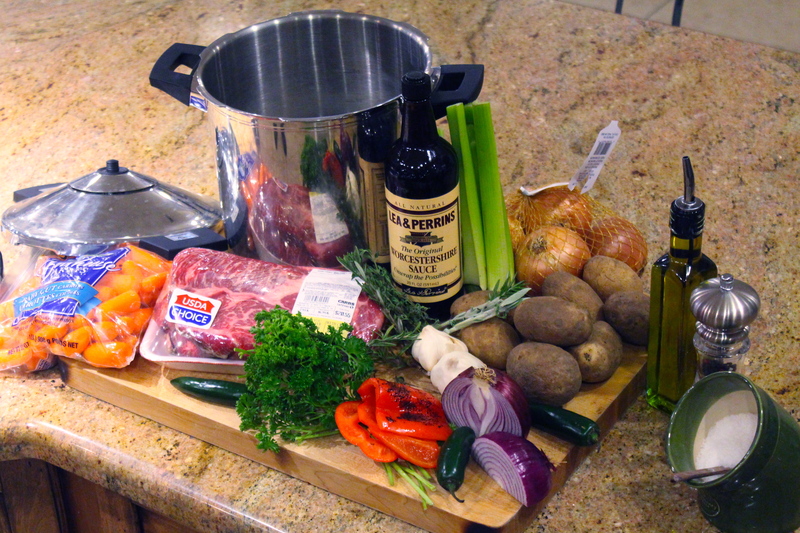 Final thoughts: I was not surprised at all by the performance of the Lodge pan. 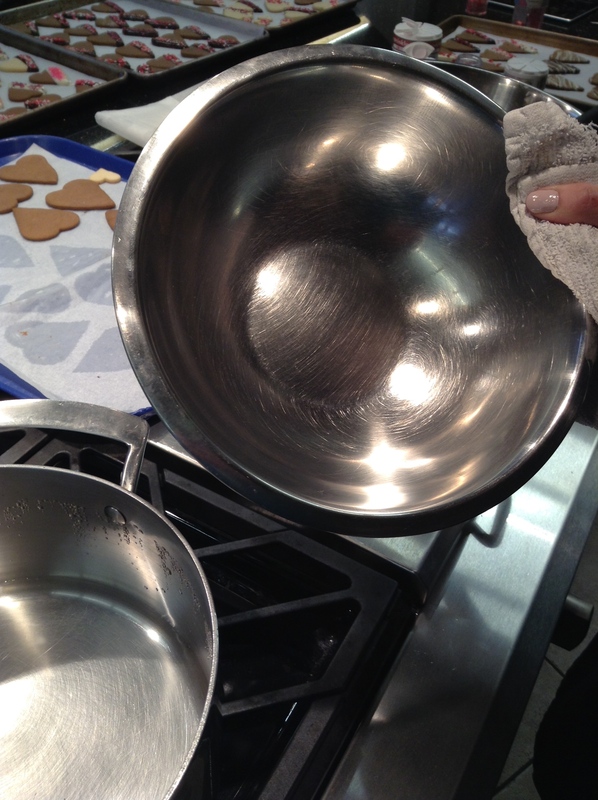 I was happily impressed with the showing by the All-Clad pan: it exceeded my expectations in all areas, except cleanup. The Swiss Diamond did well, and did give us a good final product, but it took much longer to cook the chicken, which equated to my time and the expense of greater energy use, but it didn’t produce a crunch equal to the Lodge or All-Clad pans, and the browning of the coating was not as even as with the other two pans. Overall, I’d happily encourage customers to purchase any of the cookware, but now I can say with complete authority, which would be their better choice for chicken frying, and be able to back up my word with test kitchen results. Happy Frying! 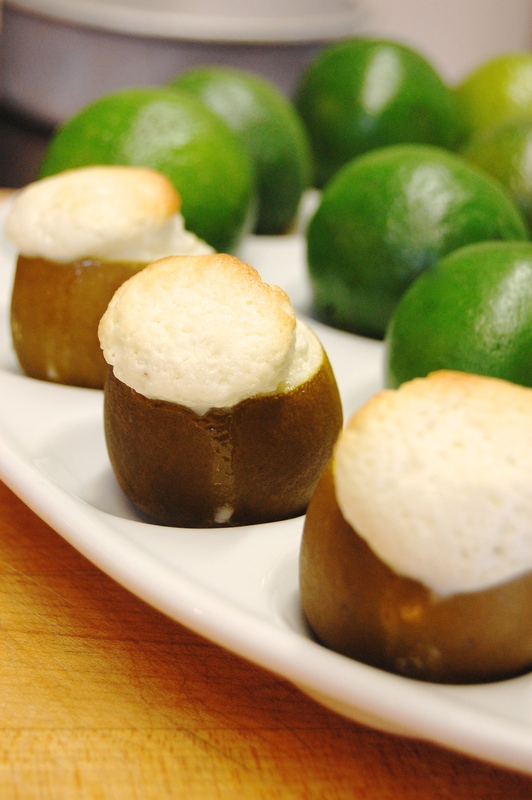 These adorably tiny souffles pack a punch with just as much tartness as the fruit that gives them their citrus zing! 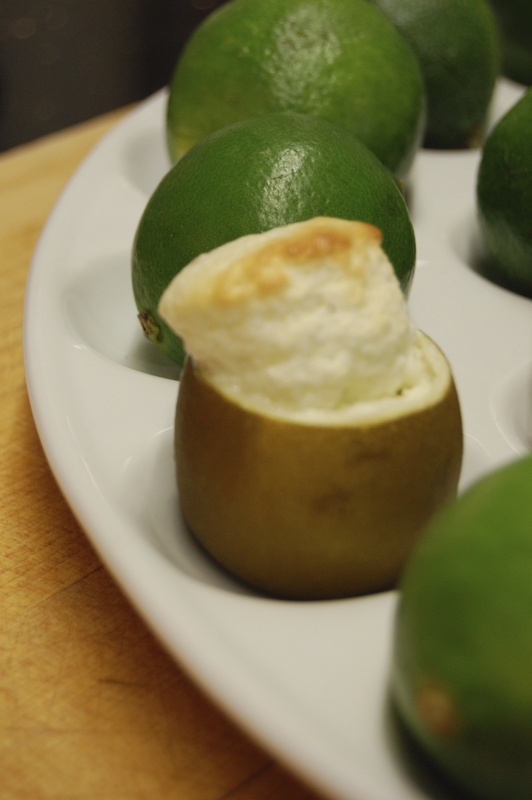 And while serving them in a lime shell means there is just a few tangy bites- that is all it takes to fall in love with this flavor. 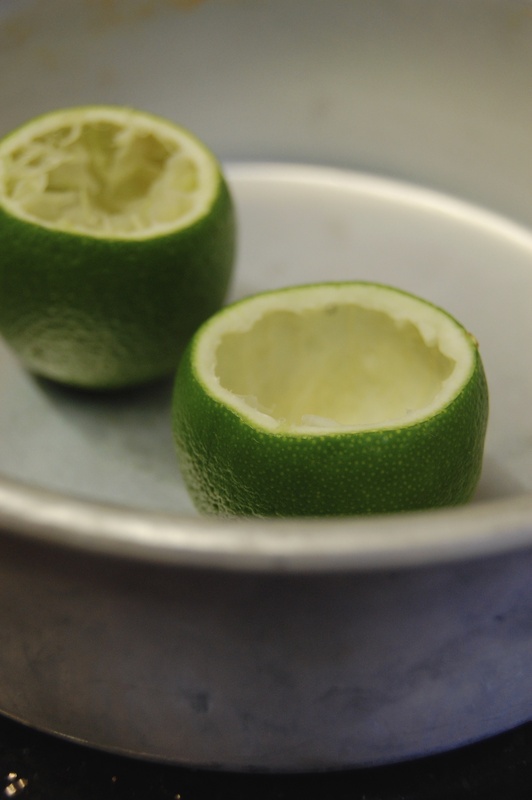 1. first cut a small slice from one end of a washed lime to create a base so that the lime will stand up on its own. 2. 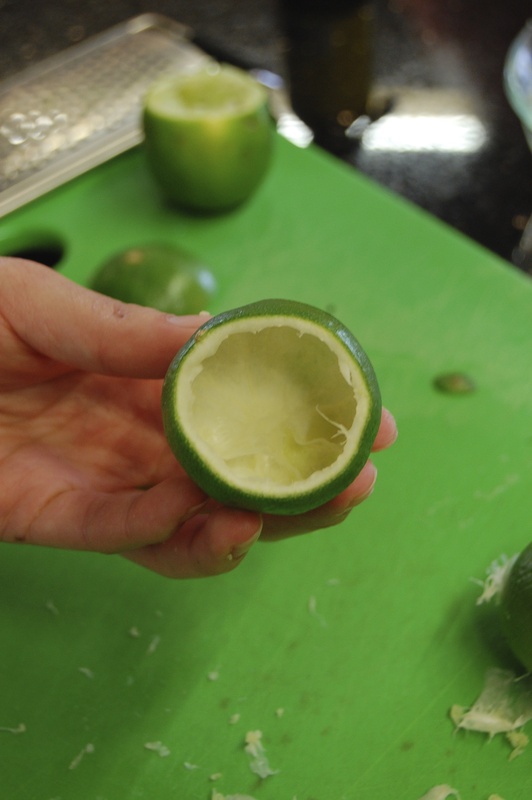 Next she cut the top from the other end of the lime, making sure to leave a good portion of the lime skin while creating an opening large enough to remove the flesh from the inside. 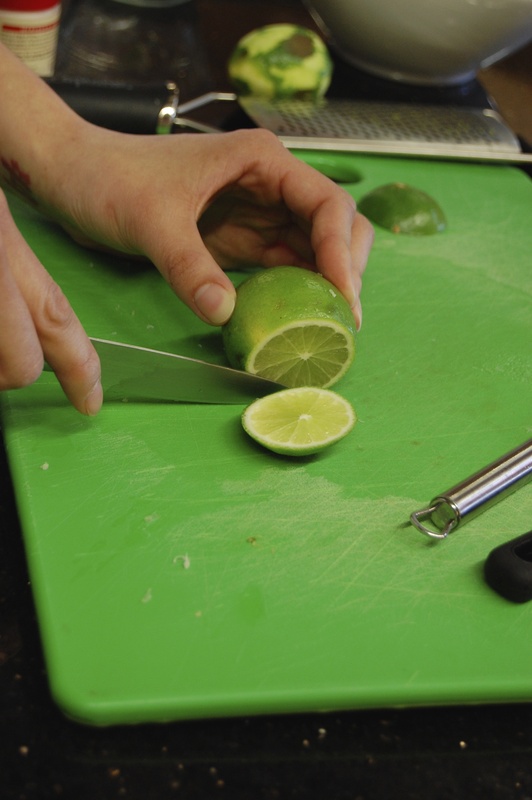 3.Having the right tools on hand makes all the difference in creating the shell. 4. 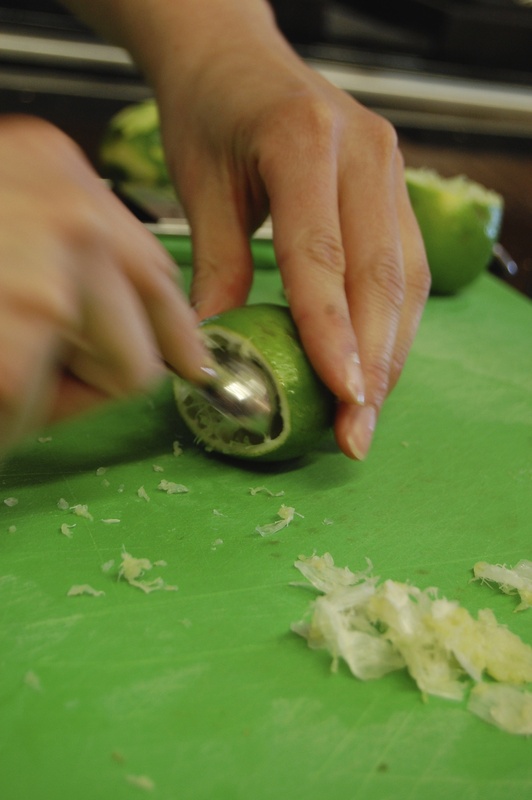 Using both a tomato shark and a melon baller, she alternated scooping and scraping until the inside of the shell is clean of any fruit or spines. 5. 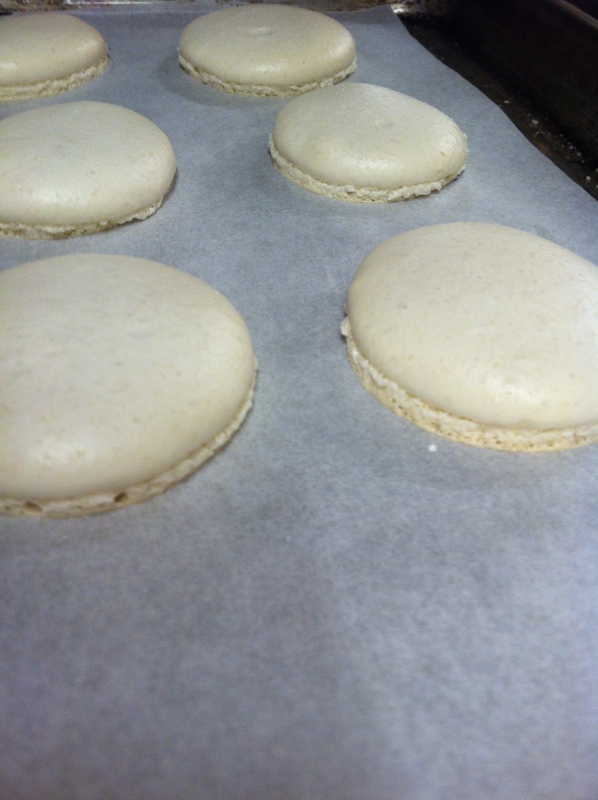 Once the shell is clear and smooth inside, it is ready to be filled with souffle and baked. 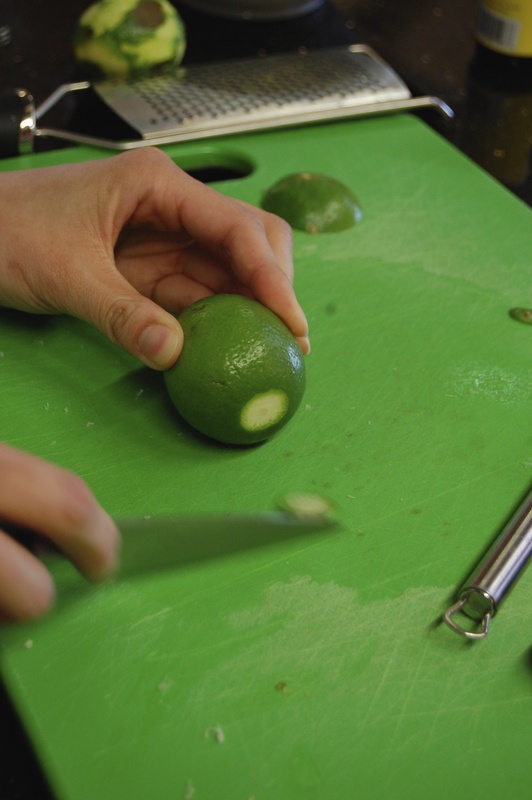 The baking process does change the bright green hue of the shell, but the limey aroma and sharp flavor of the fluffy filling are not affected in the least. 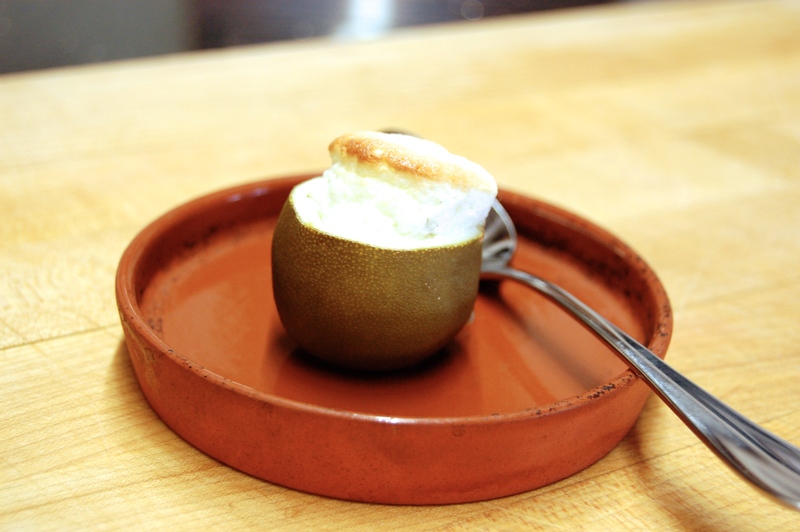 If you crave more bites than the shell can offer, they are equally delicious served in ramekins. Sitting down to a lovely slice of multi-layer cake with your sweetie or dinner guests can be the perfect end to a lovely meal. 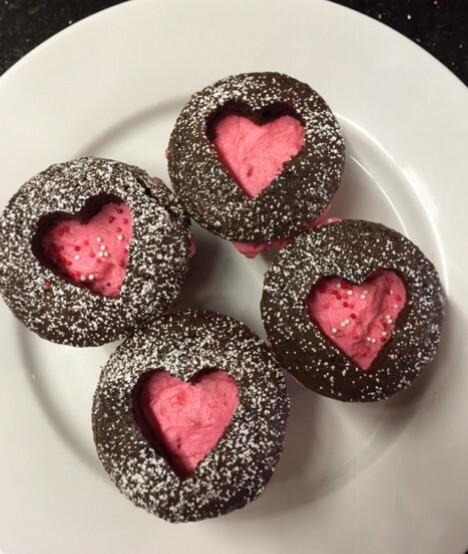 When sharing a slice of cake is impractical - because that would mean plates, forks, napkins, cake server - cupcakes will be there to save the day, and they make a marvelous valentine treat that delivers that same convivial feeling in a convenient little package. 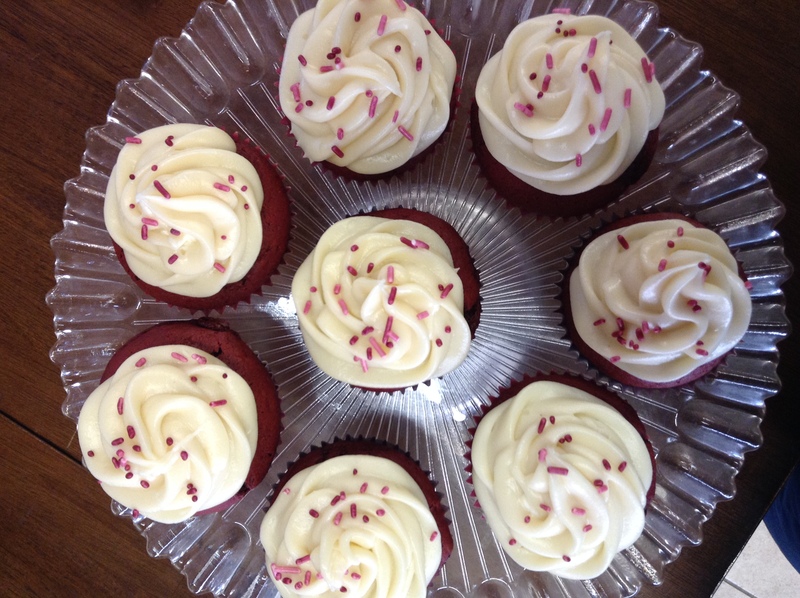 They have become an iconic of singular indulgence in recent years allowing so many flavor flirtations, but always with Red Velvet as the 'Ruby Slipper' of all that selection. 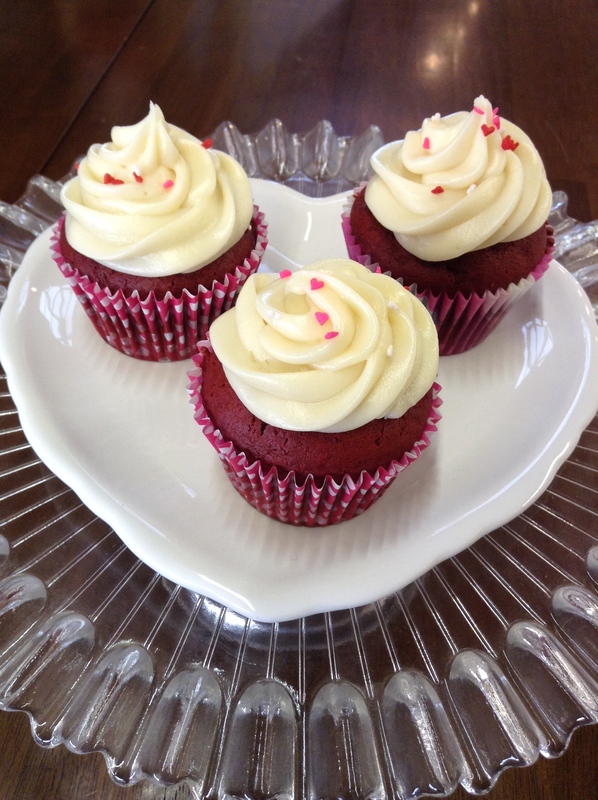 Red velvet cakes provide a dramatic and romantic show with their deep red color contrasted by rich Cream Cheese Frosting. 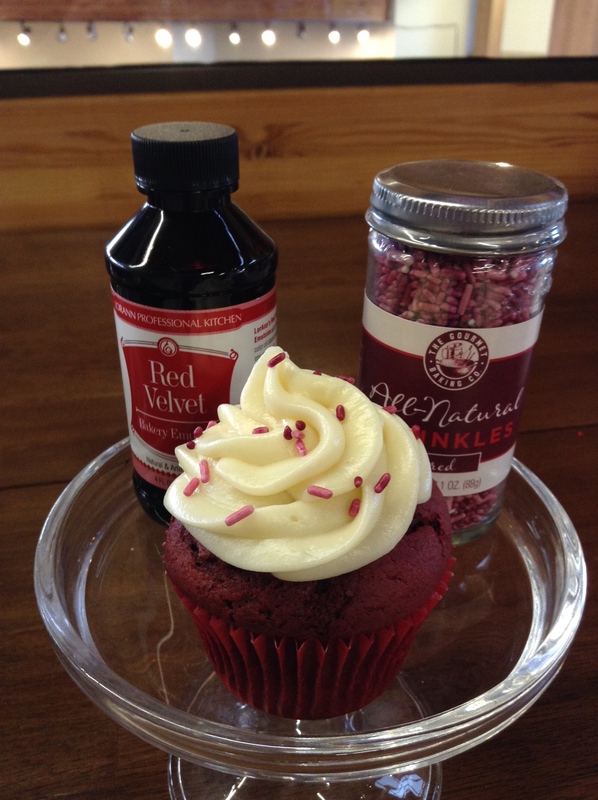 We followed this classic recipe for Red Velvet from King Arthur Flour for our first batch of Love Cakes which uses LorAnn Professional Red Velvet Flavor Baking Emulsion. According to the LorAnn website, this emulsion is more than just a food coloring or simple flavoring, it's "Better than an Extract! 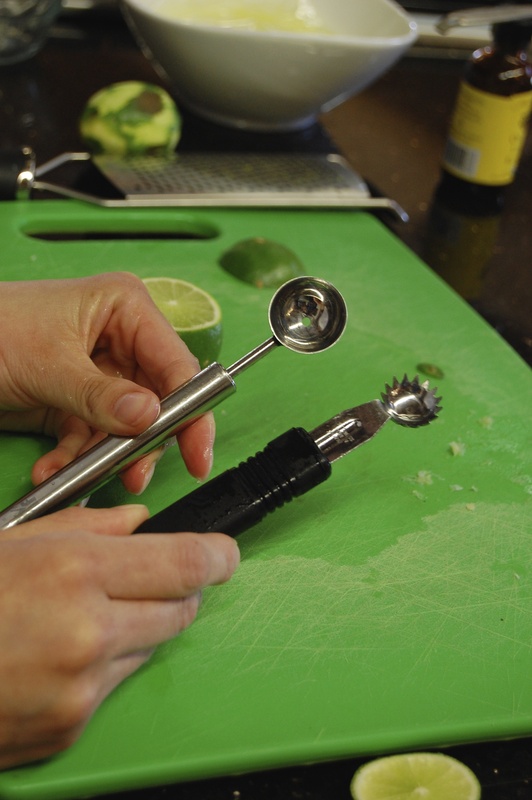 Water-based instead of alcohol-based so the flavor won't bake-out." 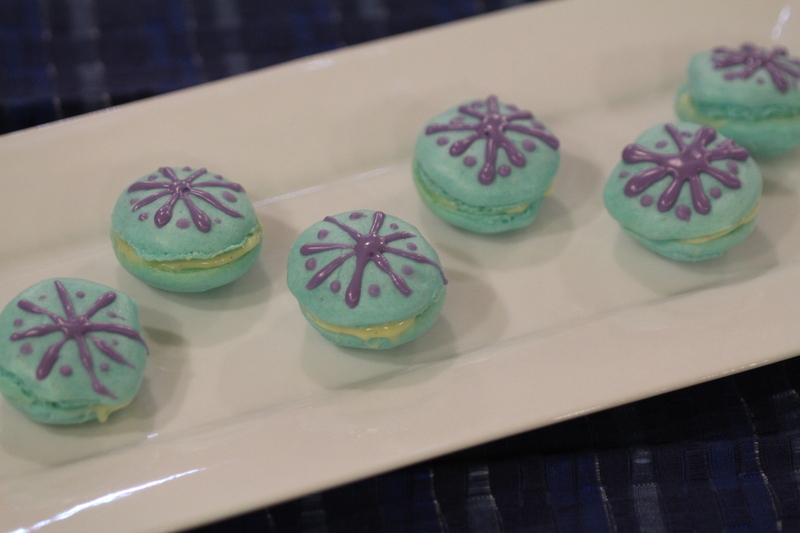 We did, however, choose a more traditional Cream Cheese Frosting recipe and ironically, topped them off with sprinkles that are colored naturally, lending their subtle hue to finish off our grown-up mini dessert. 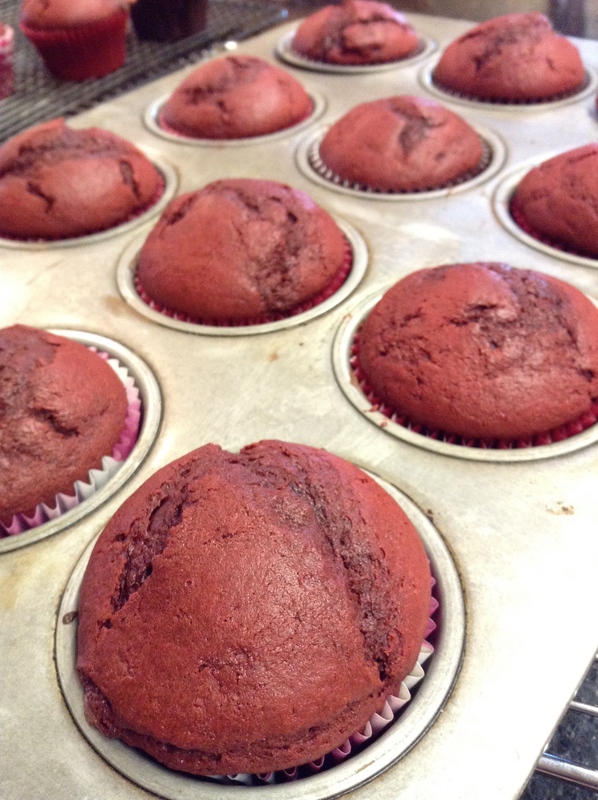 Using Seige Cup Cake Papers, which are strong enough to be filled and baked without a cupcake pan, also means they will keep their color, don't get soggy and peel off easily so you get to eat every morsel without shamelessly chewing the wrapper. 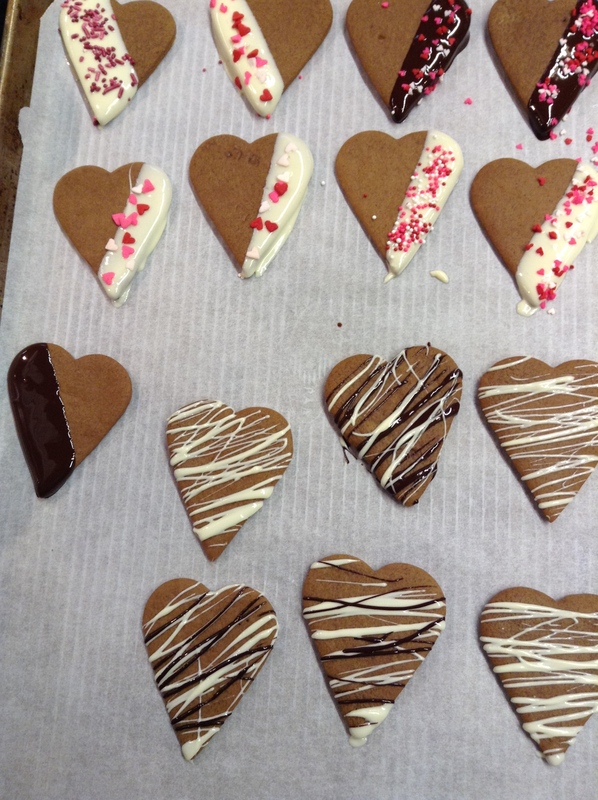 And if you thought red velvet was romantic, our second preparation gives your Love Cakes hearts of pure... well, FROSTING! 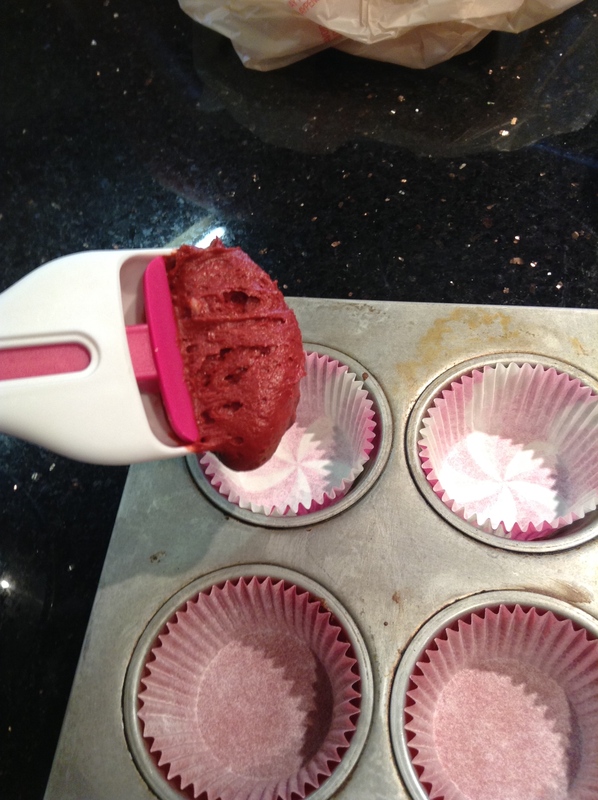 You'll want to fill your cupcake papers just a little more than you normally would for these, and using a cupcake scoop makes that easier than ever, so that you have a nice loft top. You'll cut this off, just above the paper line. 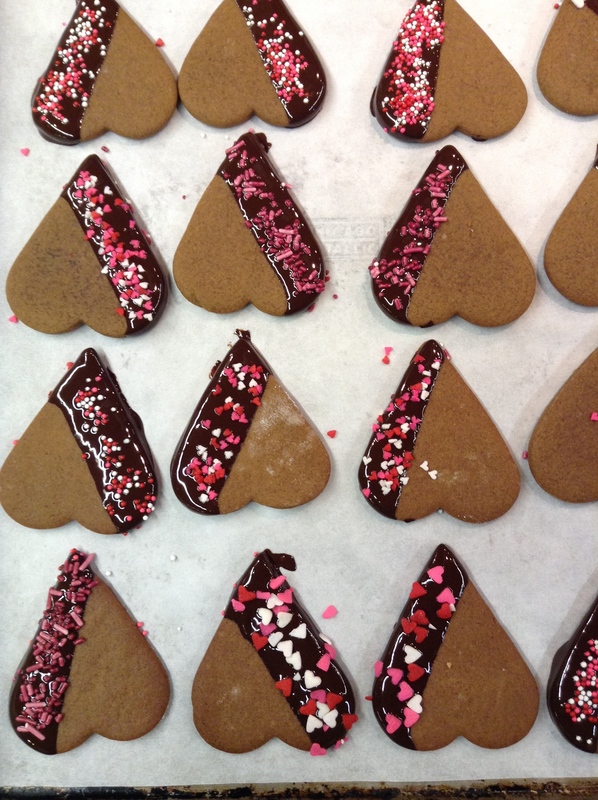 Then, using a small heart cookie cutter, cut the middle from each top. 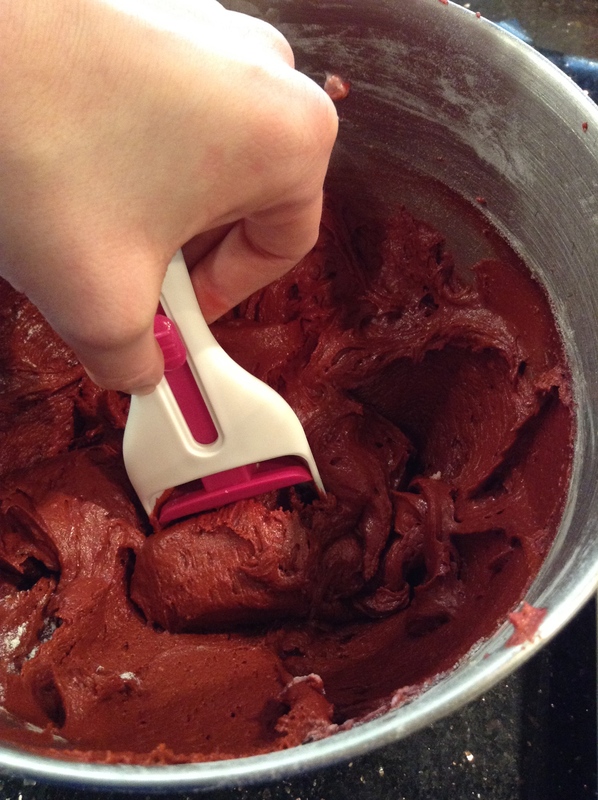 If you like lots of frosting/ or if you want to add a second flavor of say chocolate mousse, fruit filling or whipped cream, you can also use the cupcake corer to remove even more cake from the center, making room for that extra surprise. 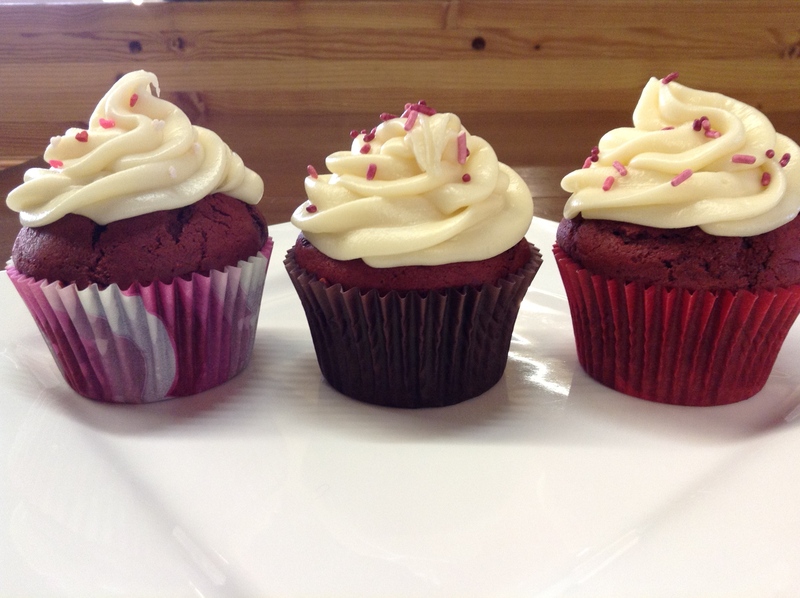 Cover the entire top of the cupcake with frosting - colored to your liking - and replace the top, creating a precious Cut Out cupcake. If you happen to have left over cake (who are you? 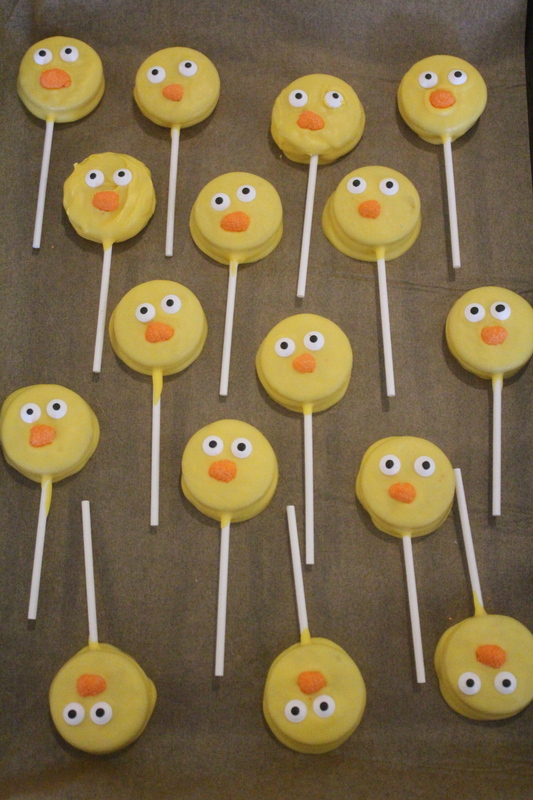 but honestly, those hearts and cores from above can be frozen and used here too) and frosting then Cake Pops are even more pass-along-able, especially for little loved ones! 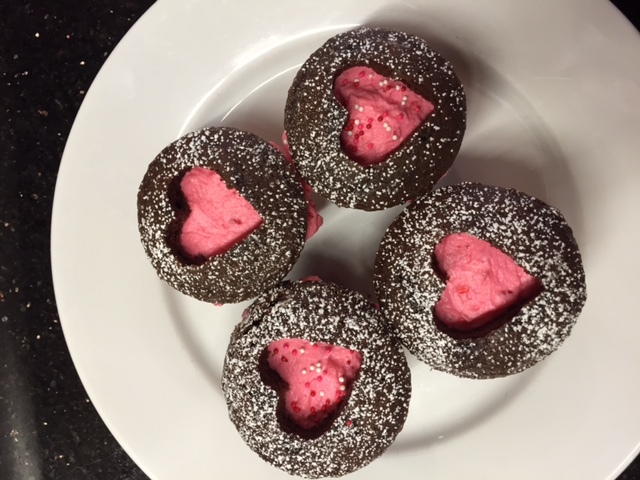 Just crumble those extra cakes and pieces into a large bowl, add the excess frosting and mash until you have a moist, mold-able mixture that can be rolled into balls and covered in chocolate. 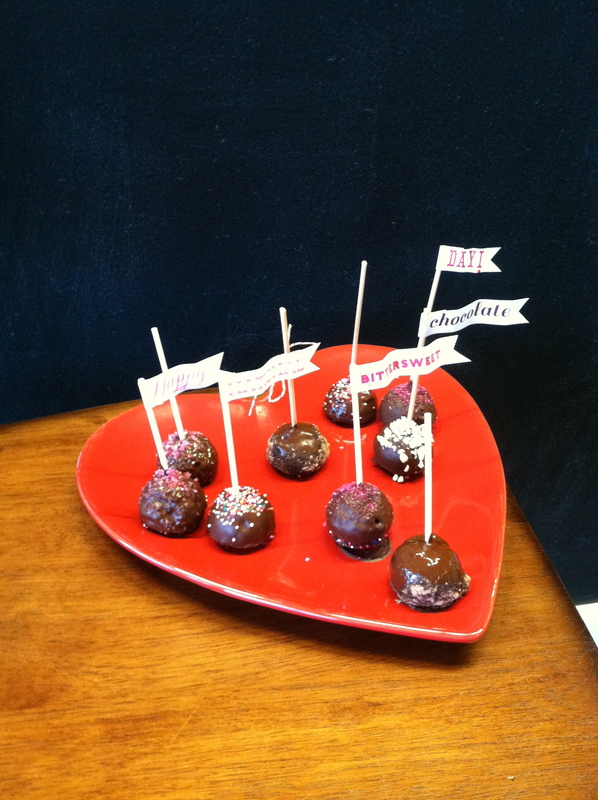 If you're anything like me and you already know you won't be having any leftovers, you can also use a cake pop pan that bakes your cake batter into perfectly round and fluffy balls so you don't have to get your hands dirty. 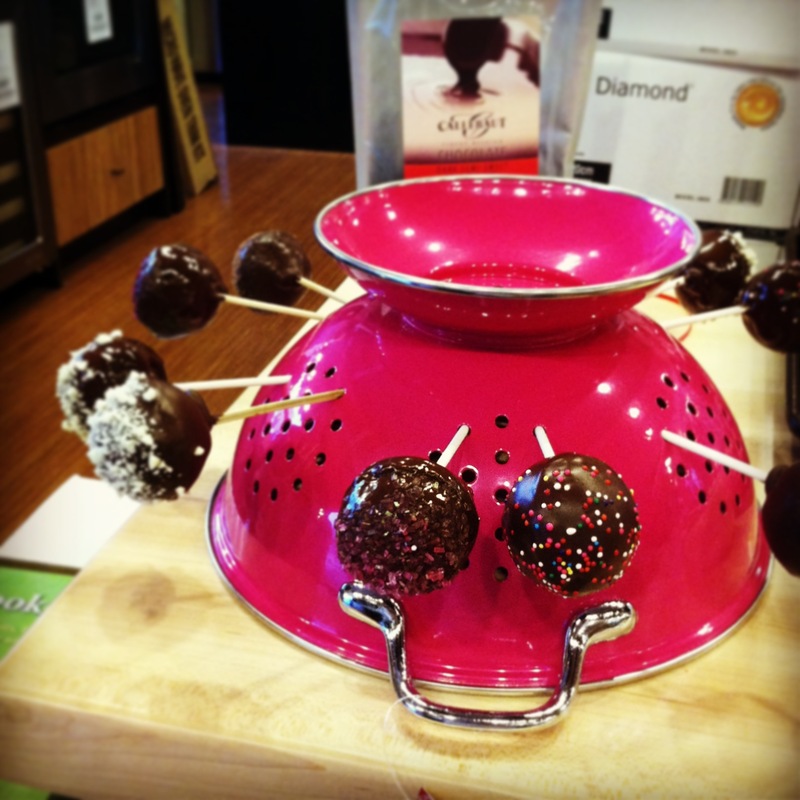 One of the trickiest bits to cake pops is the cooling process. 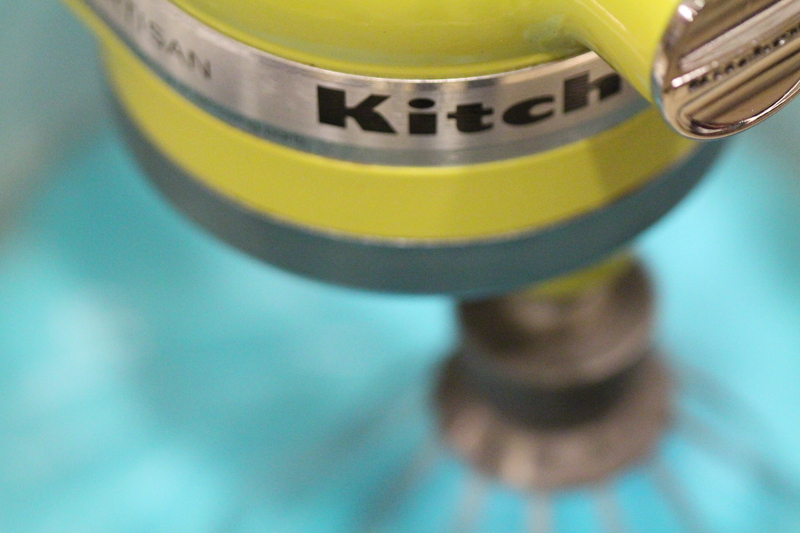 We borrowed this clever tip to use a metal colander, turned on its top, to allow the pops to cool, drip and firm up without having a flat side - which can be useful in it's own way. 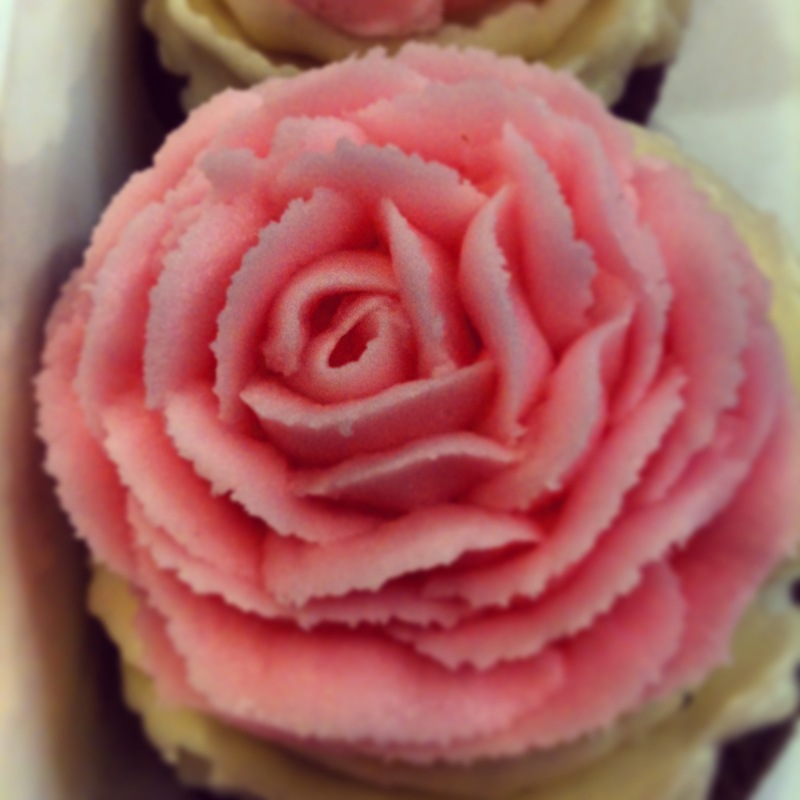 And if you have, or want, practice using a frosting bag and tip, decorating your Love Cakes with a rose the size of the cake itself means you can gift flowers, chocolate and dessert all in the same sweet little cake! 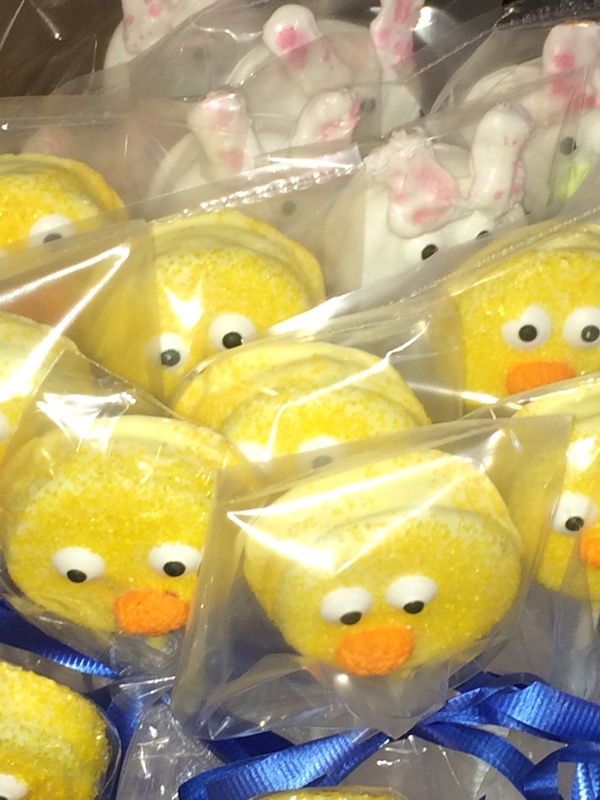 Special thanks to Ashley Adams, Kitchen Store Specialist and our very own Cupcake Creator Extraordinaire! 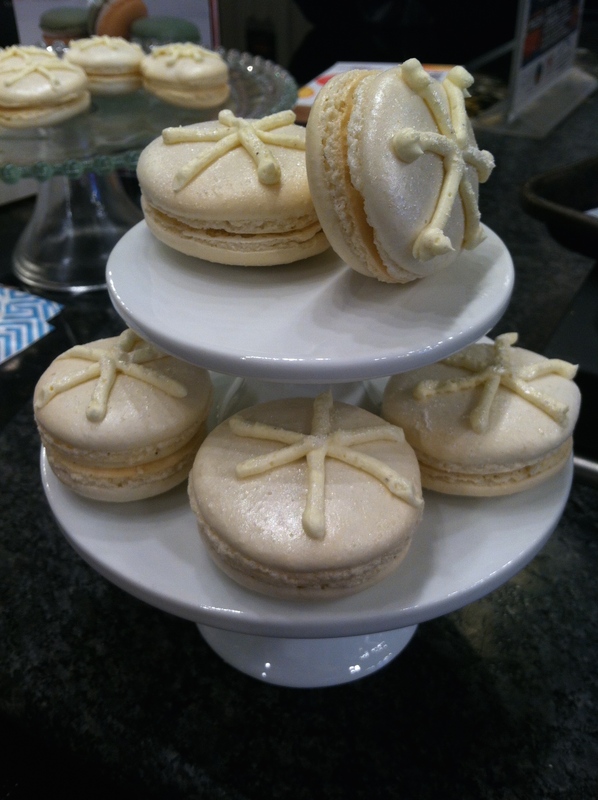 Macarons are a particular kind of special treat, perhaps because they are so delicate- yet so flavorful, have both a crunch and a chew, come in so many colors, and can be filled in innumerable ways, or maybe it's just because they can be tricky to master and make at home. 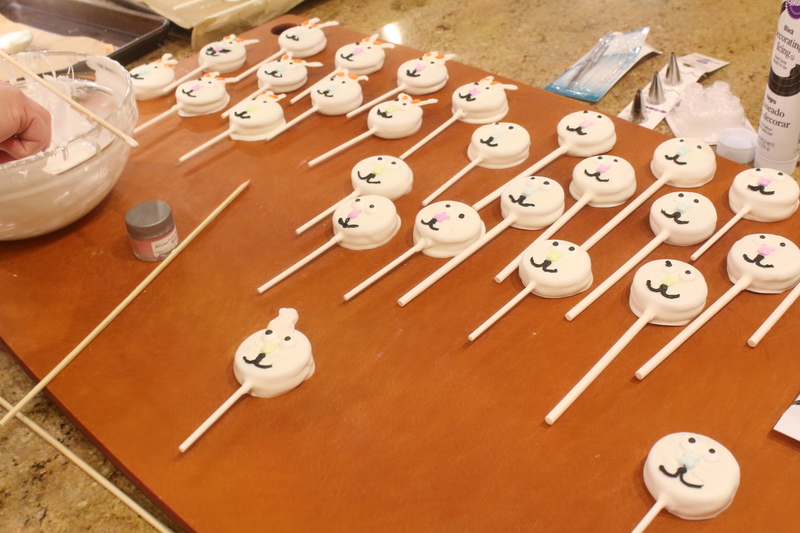 We've certainly had our share of 'feetless' flops in the Allen & Petersen test kitchen, but with these tips, our own Beth Brown, Kitchen Store Specialist, gets closer to 'Macaroner' with every beautiful batch! 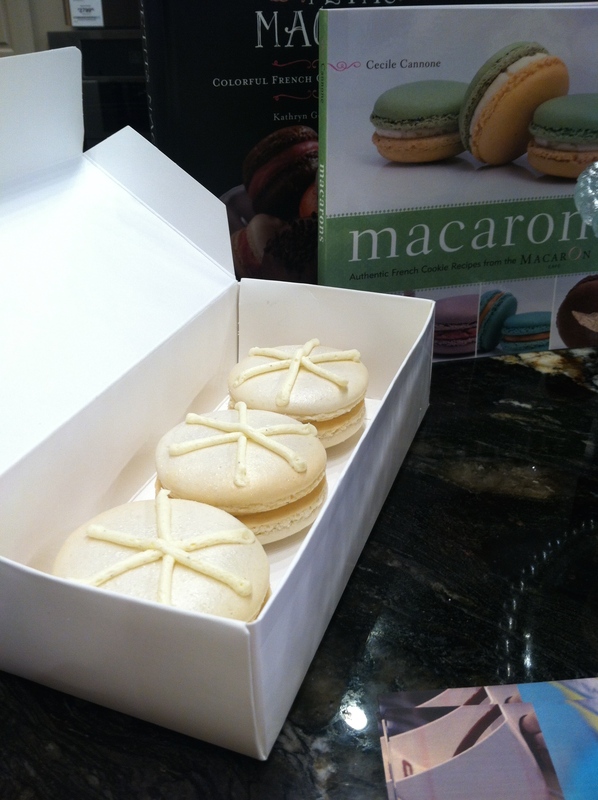 Our favorite recipe is for French Meringue Macarons (pg 26) from the Macarons Cookbook by Cecile Cannone. 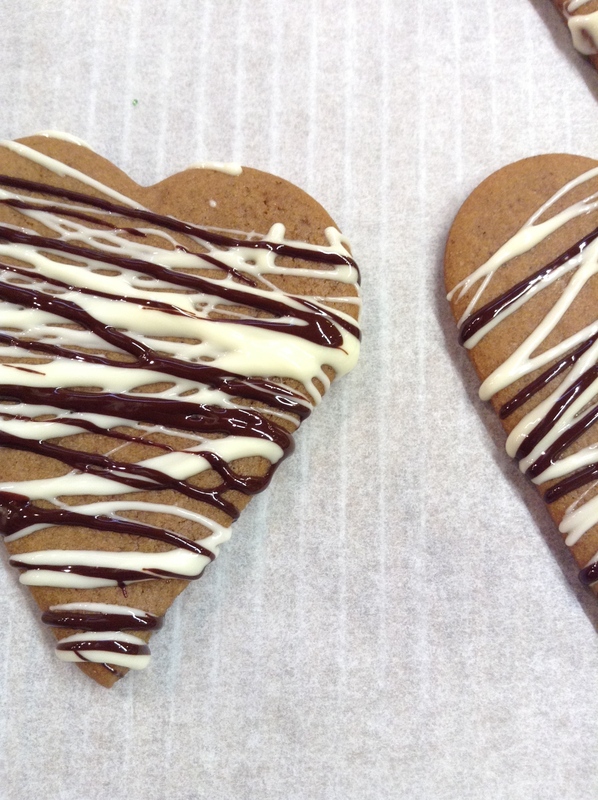 • Dry out your almond flour in a low temperature oven, for about 5 minutes, to eliminate excess moisture. 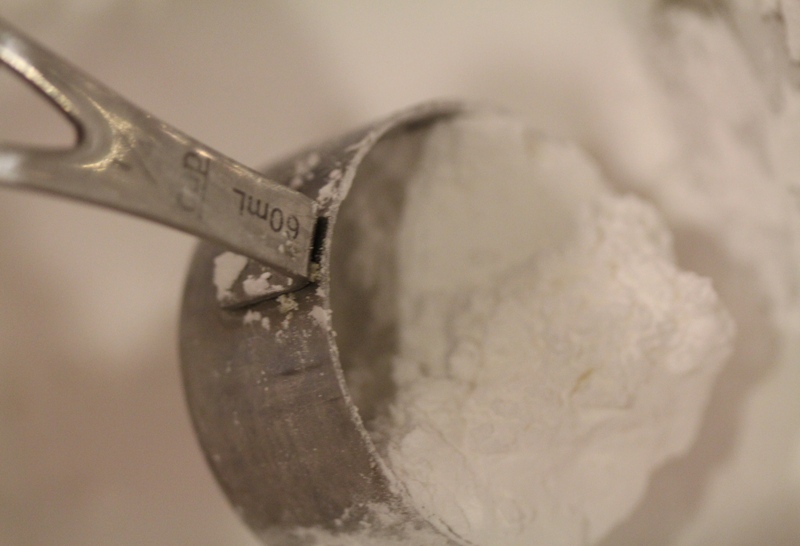 • Combine flour and powdered sugar and pulse in the food processor, then sift twice for an extra smooth texture. Discard large bits. 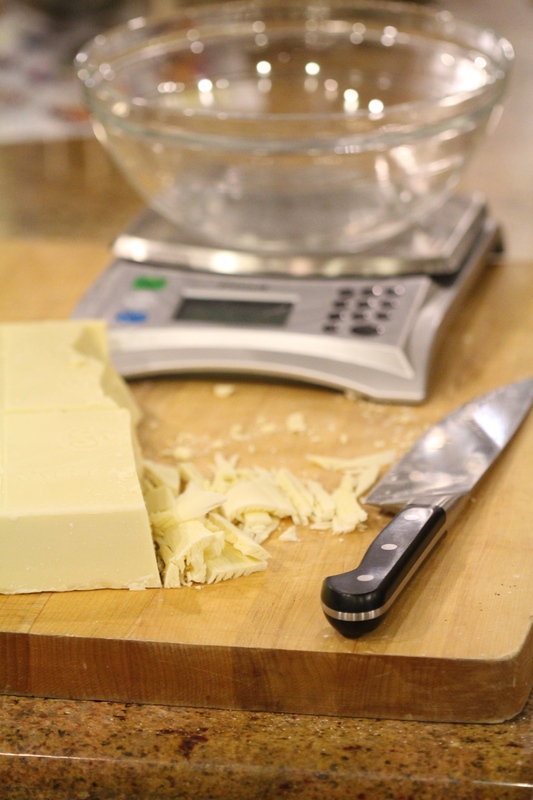 • Measure out your egg whites rather than just assuming your eggs are the right size to provide the necessary amount called for in your recipe. • Use gel food coloring! 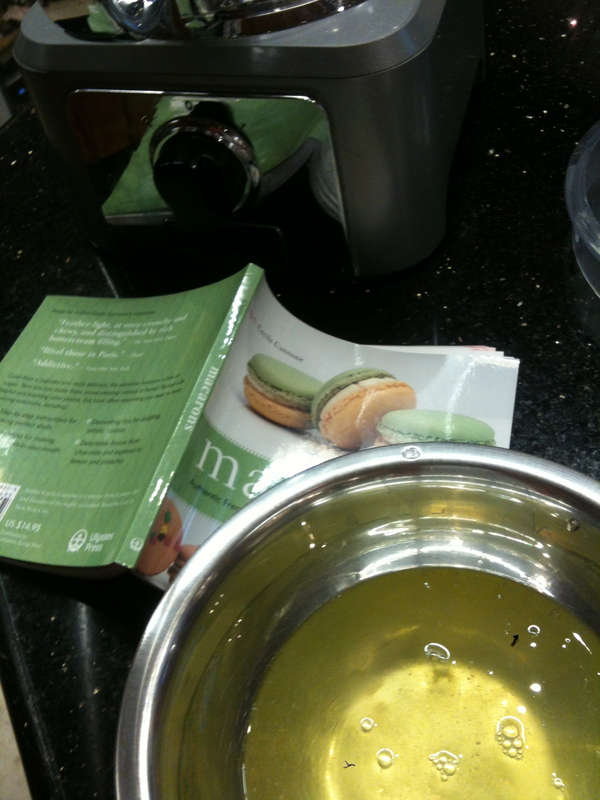 The liquid variety will add too much moisture to your macarons. 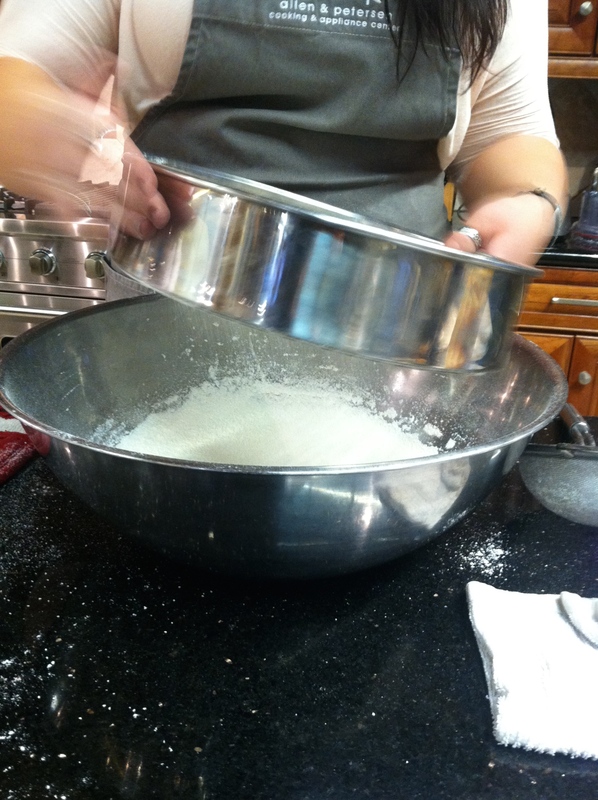 • Don't over-mix your batter when combining meringue and almond flour, and always do this step by hand! 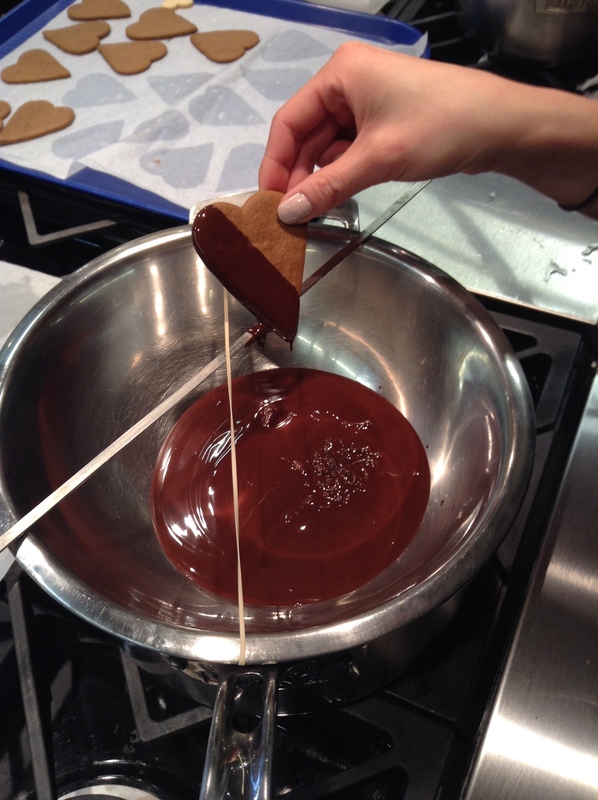 Using an electric mixer will deflate your batter. 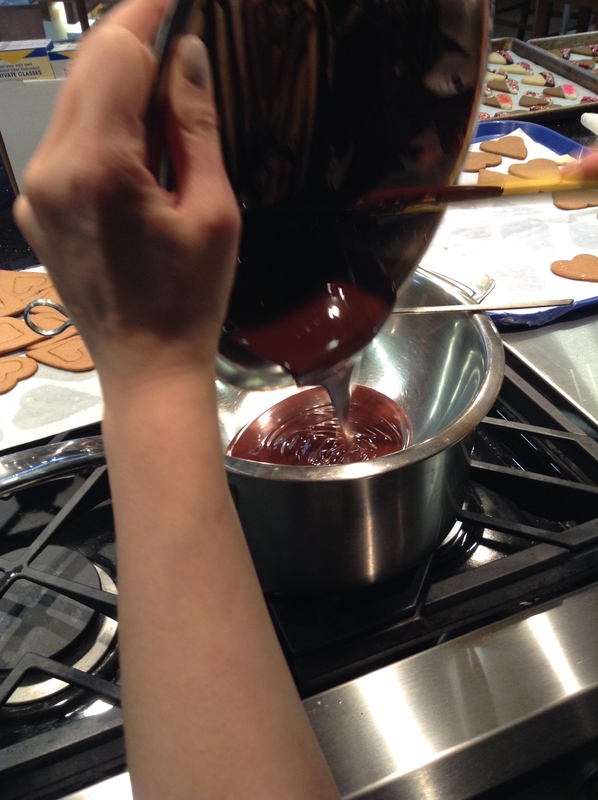 • To fill your pastry bag, and in between batches, set your pastry bag in a tall glass cup with the tip touching the bottom to keep batter from spilling out. to release steam- once at 5 minutes, and again at 7 minutes. 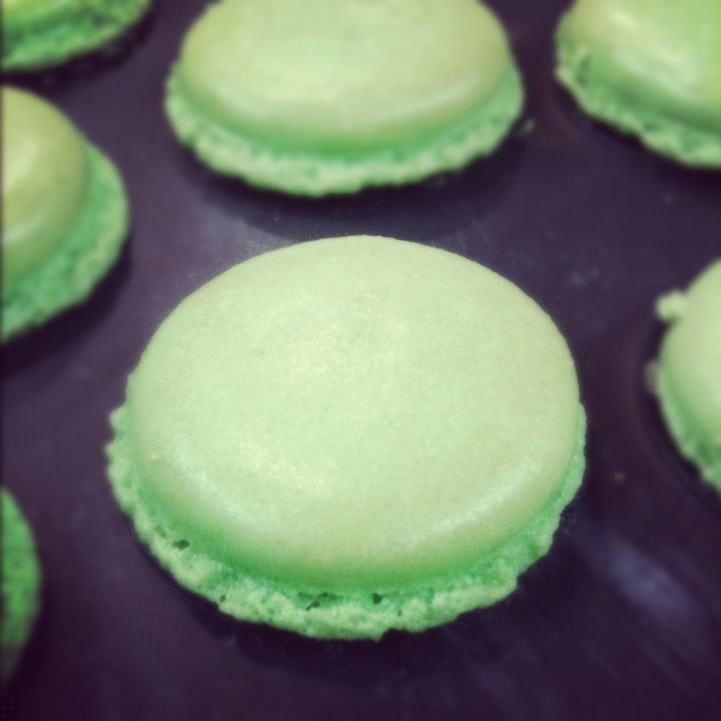 • Let your macarons rest!! 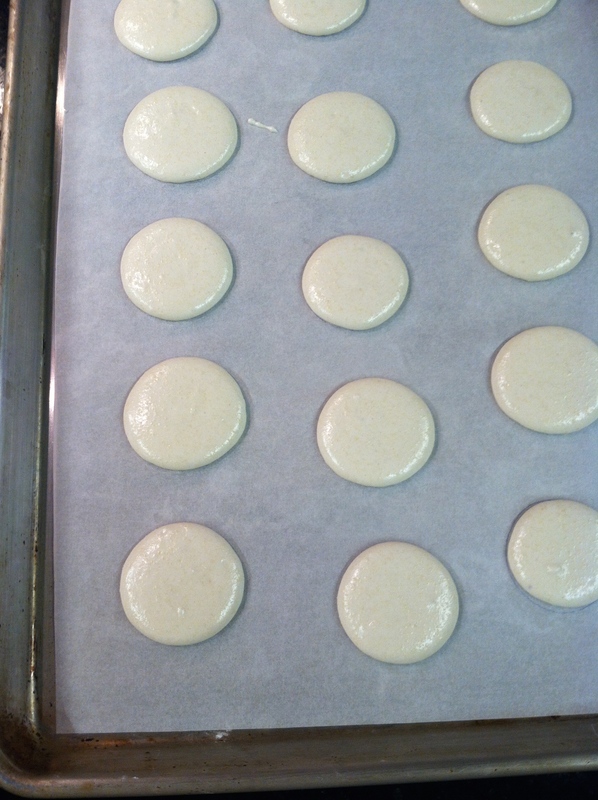 15-30 minutes after piping and before you put them in the oven. 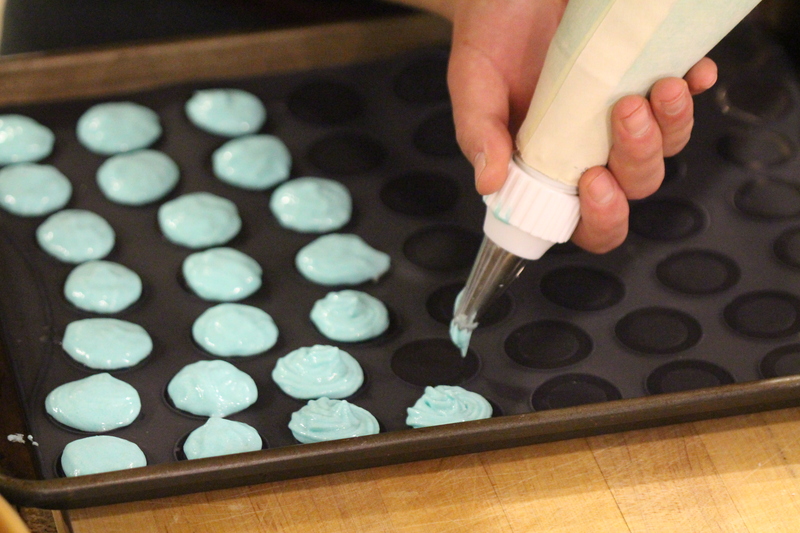 This step is crucial for developing the "feet" on the macarons. 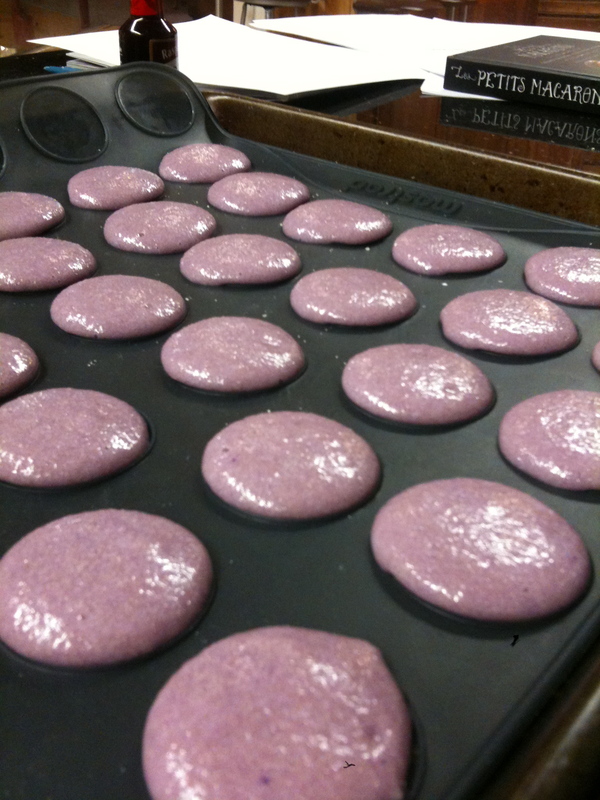 • Allow the macarons to cool completely before taking them off the mat. Press your finger into the back of one of the cooled shells, it should be soft. 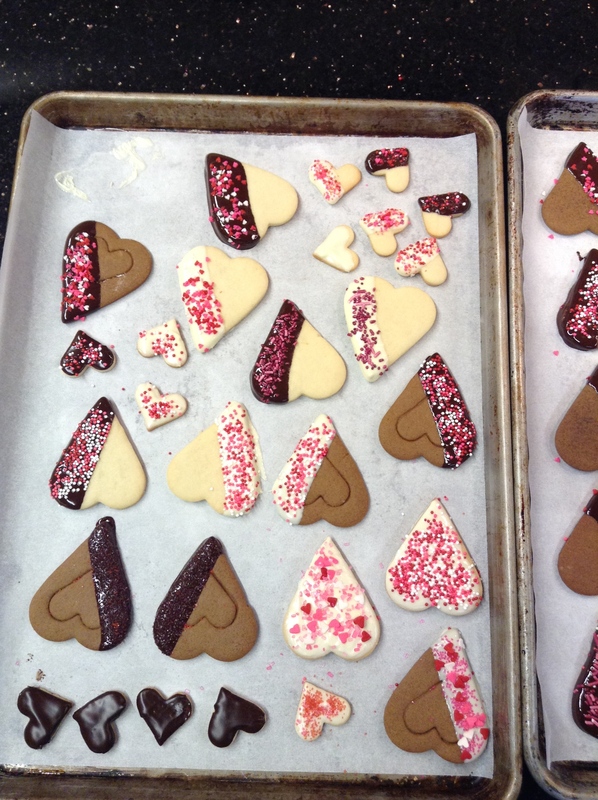 If it’s crisp or hard, reduce baking time on the next batch. 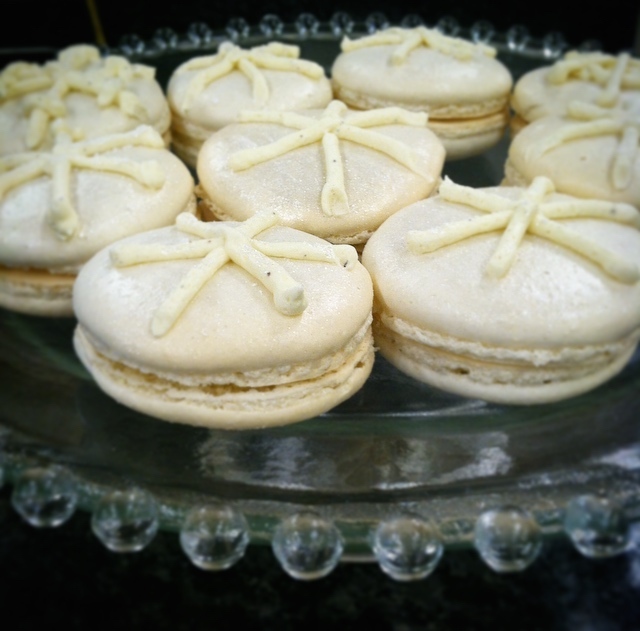 • Don't overfill your macaron shells, especially with a strong flavored filling as it can overwhelm the flavor of the macarons. Use just enough to hold the two together. 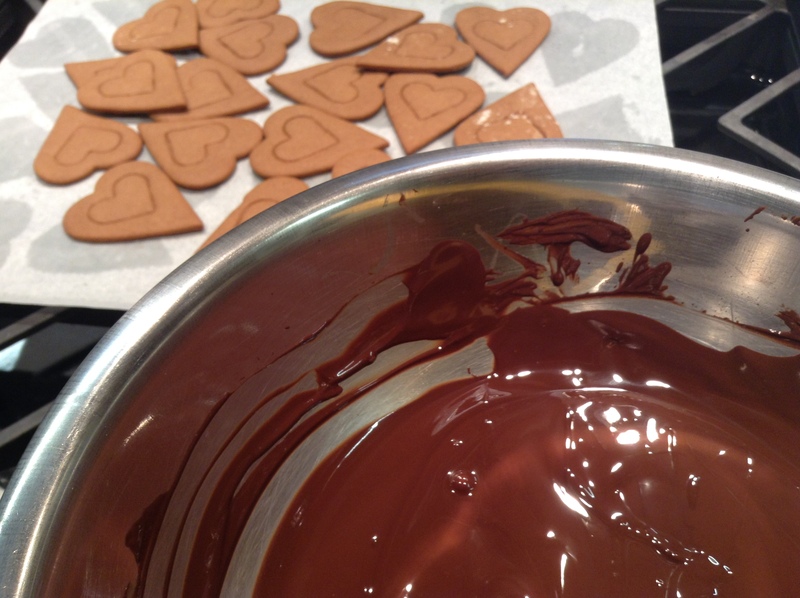 • Because ganache can be made with white, milk or dark chocolate and can be easily flavored with a cream infusion, it makes a lovely filling for macarons- just be sure it has cooled and is firm enough to not compromise the texture of your cookies. 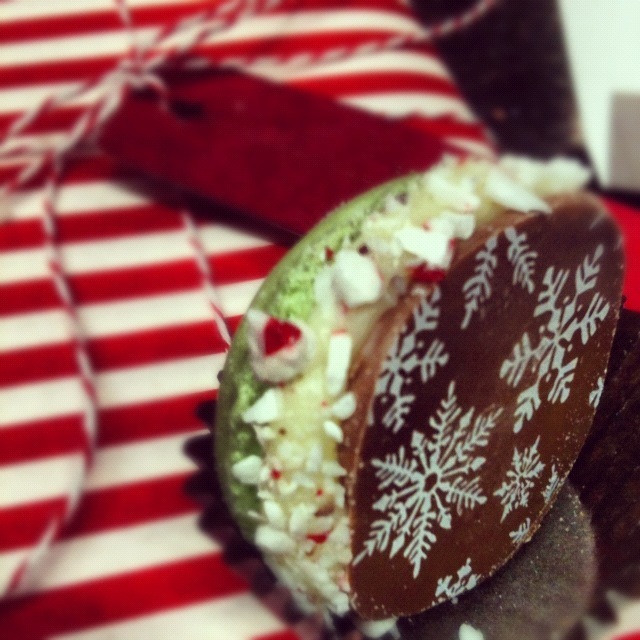 Chocolate wafers also make a delightful companion to a macaron, especially with decorative transfers! 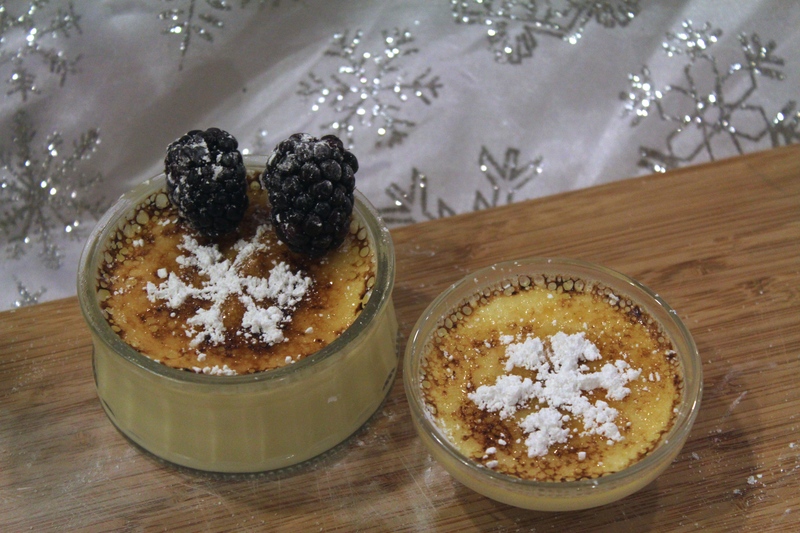 Crème brûlée is a decadent dessert that evokes memories of fancy restaurants, low lighting, and black-tie waiters. 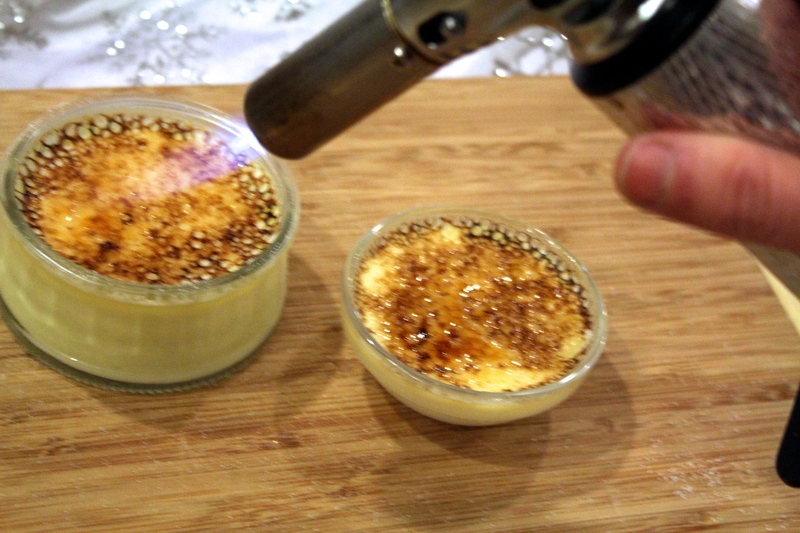 Until I learned how simple it can be with the right tools, crème brûlée seemed unattainable . . . but no more! 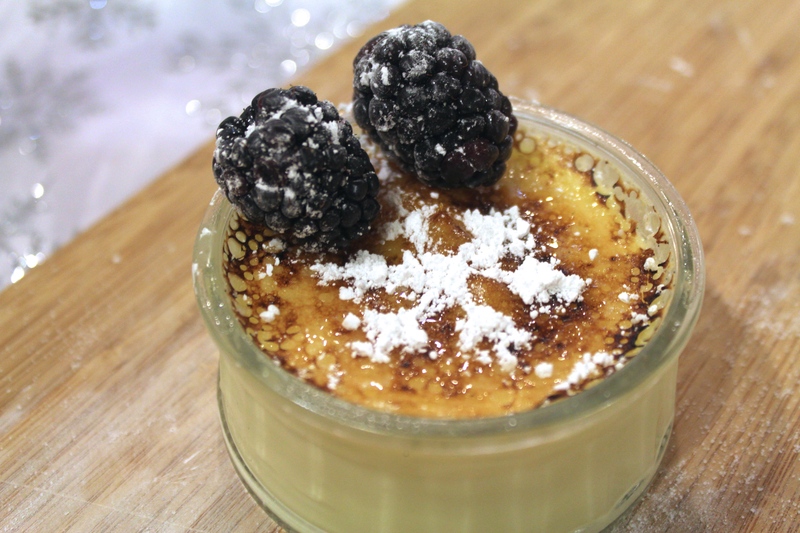 Ramekins and a chef’s torch are basically all you need to make mouthwatering crème brûlée at home. 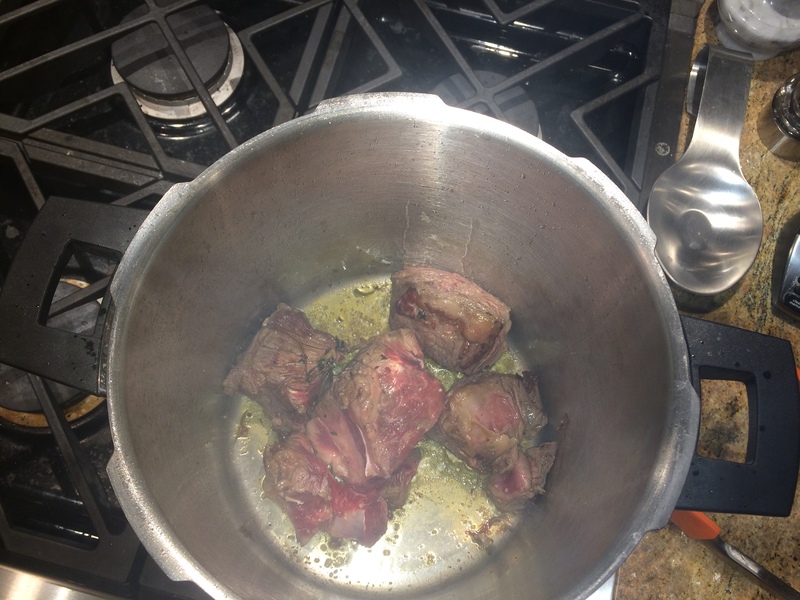 Preheat oven to 300 degrees F. Fill a kettle with water and bring to a boil. 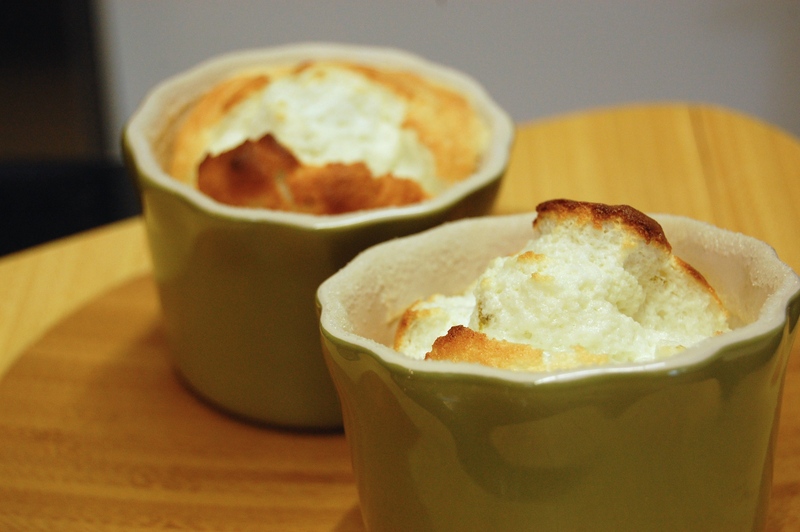 Arrange 9 ramekins in a large baking pan and set aside. 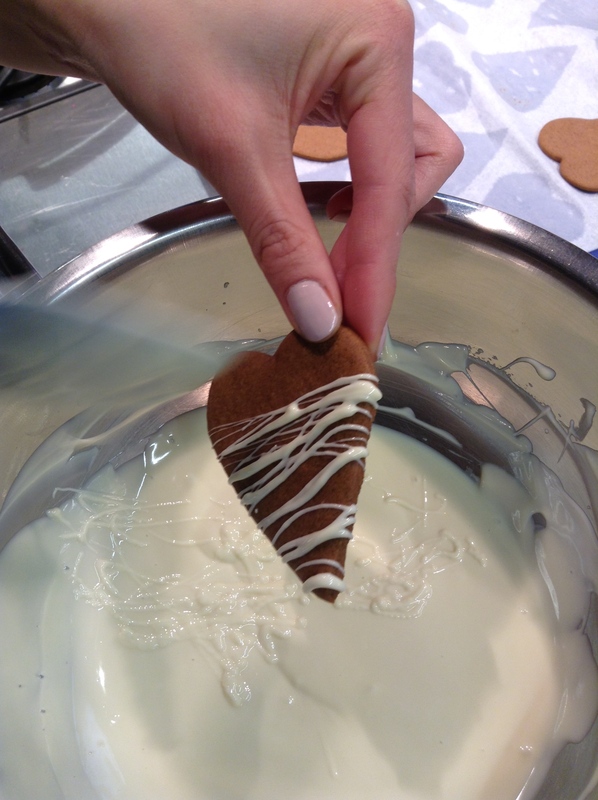 Place heavy cream in a medium saucepan and whisk in Vanilla Sugar, stir to combine. 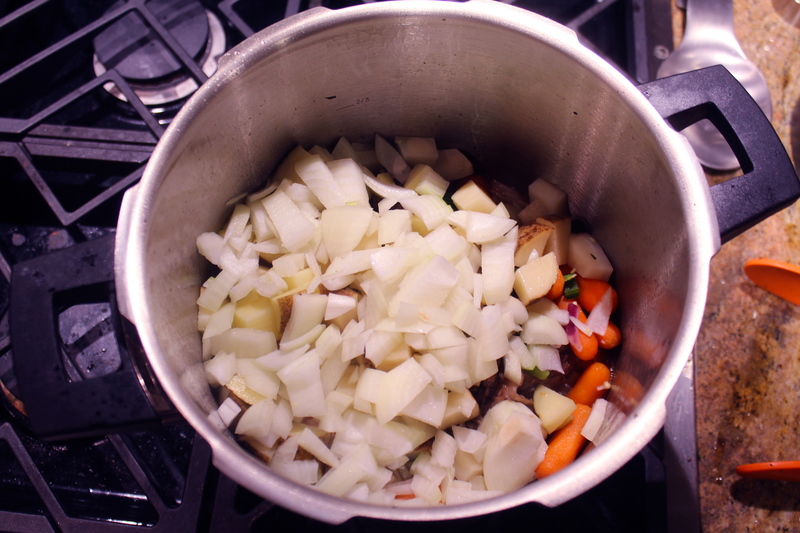 Heat over medium heat until simmering, stirring occasionally. 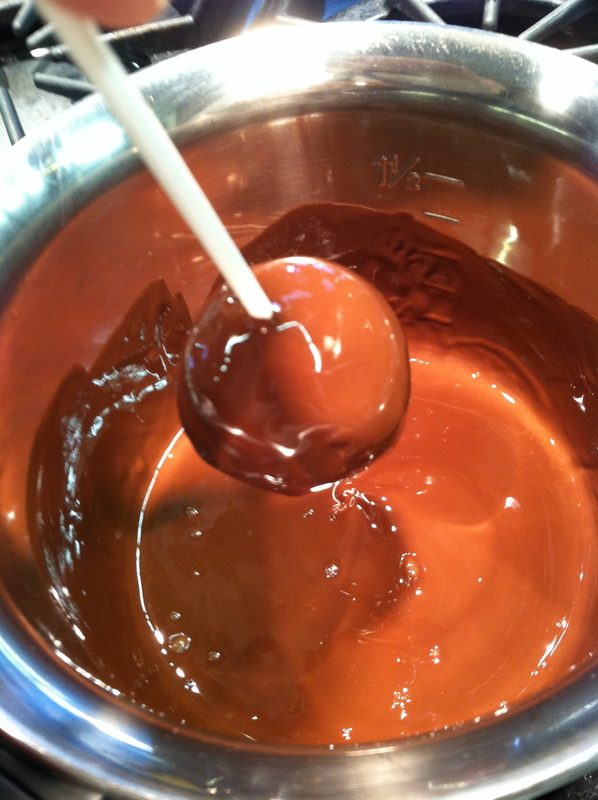 Remove from heat and let the mixture rest for five minutes. Meanwhile, in a separate bowl, add egg yolks, ¼ a cup of granulated sugar, vanilla, and salt and whisk together until light and smooth. 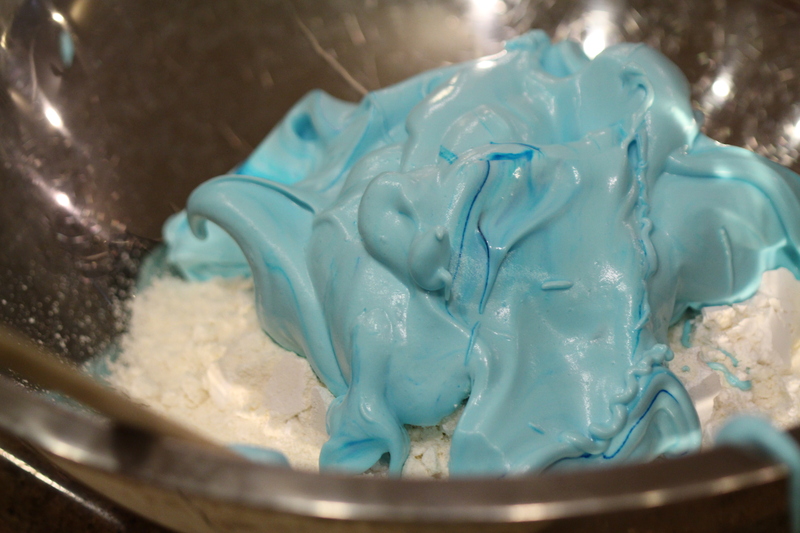 Add ¼ cup of cream mixture to the eggs, whisking immediately to combine and temper the eggs. Repeat. 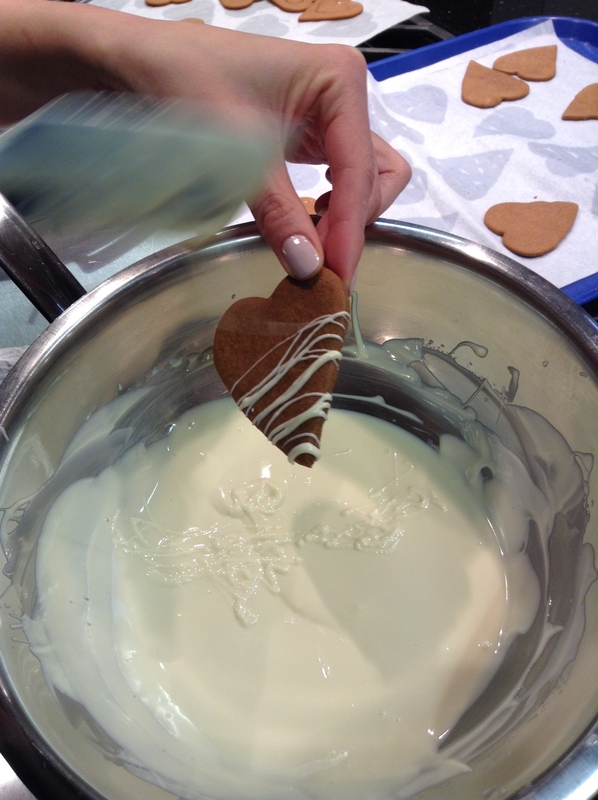 Add the remaining cream mixture, whisking constantly as you combine. 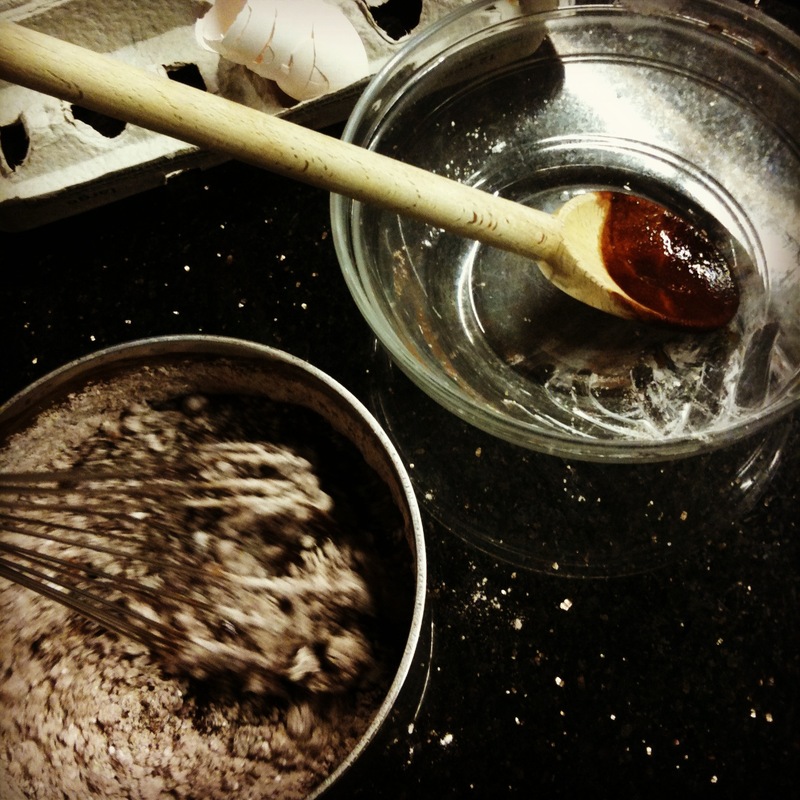 Strain the mixture through a fine mesh strainer to remove any large vanilla beans pieces or bits of egg that may have cooked. 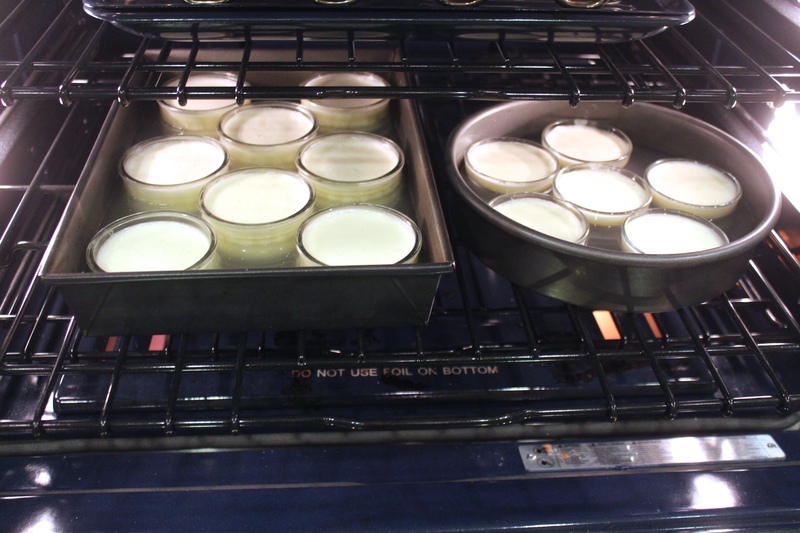 Portion the custard into ramekins so that they are each nearly full. 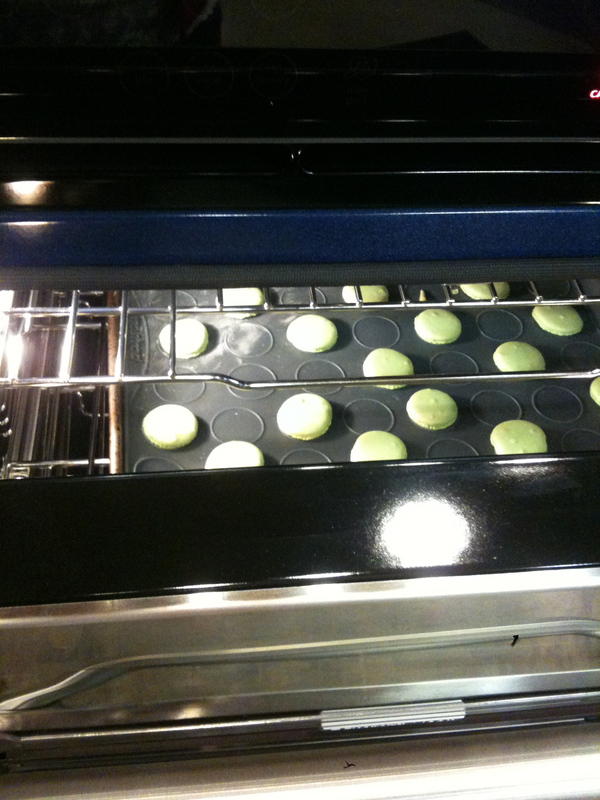 Place baking dish full of ramekins in the oven. 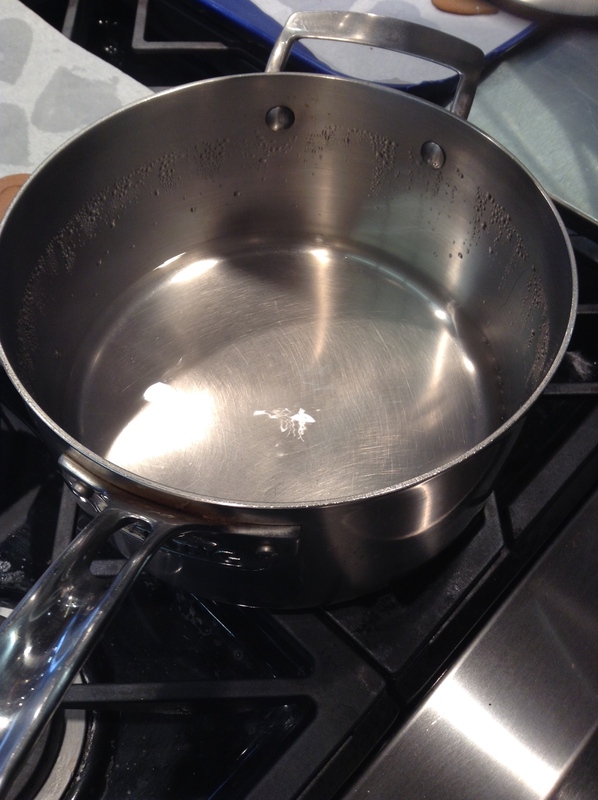 Pour the boiling water into the pan slowly to avoid splashing water inside the ramekins, until the water reaches 2/3 up the sides of the ramekins. Bake for 50-55 minutes, or until the edges of the custard in the ramekins are set, and the centers are only slightly jiggly. 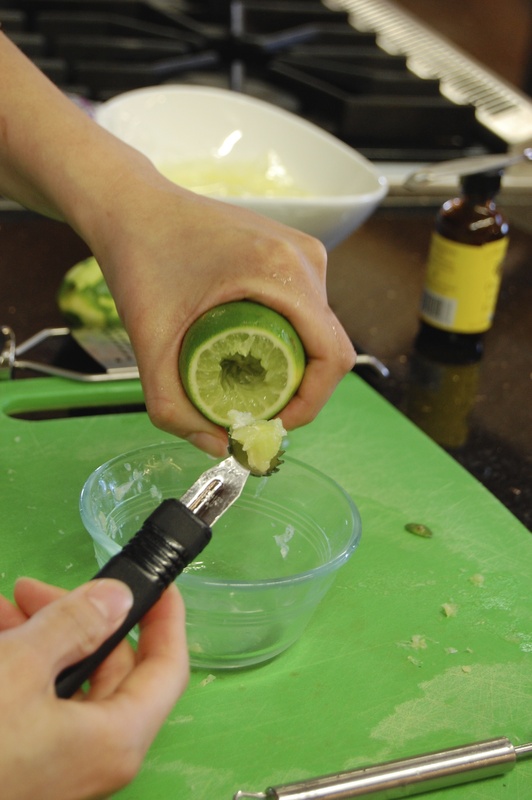 Using a spatula or tongs, preferably silicon coated for extra grip, carefully transfer ramekins to a cooling rack. 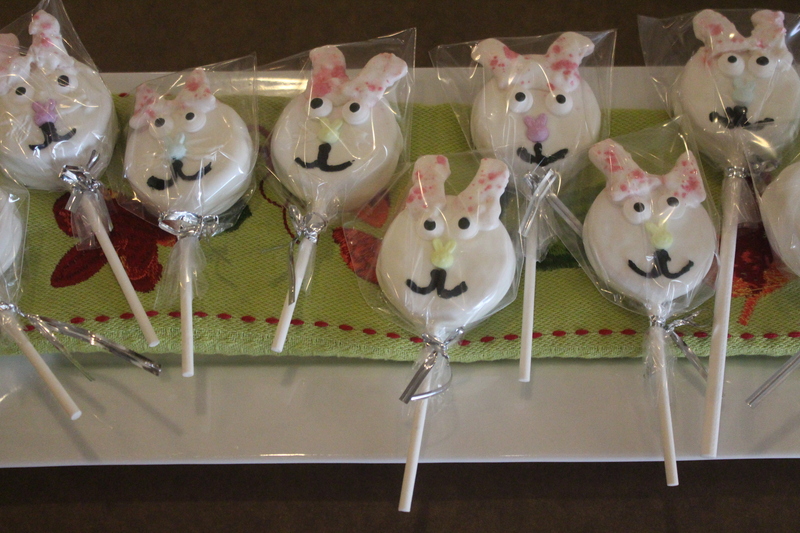 Let cool until at room temperature, then refrigerate for at least three hours until cool. 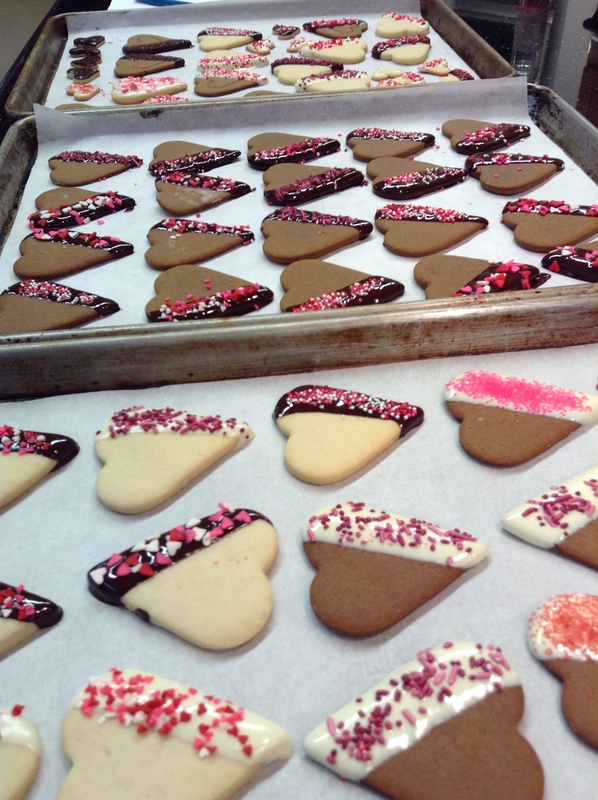 When ready to serve, sprinkle tops evenly with 1-2 teaspoons each of the remaining granulated sugar. 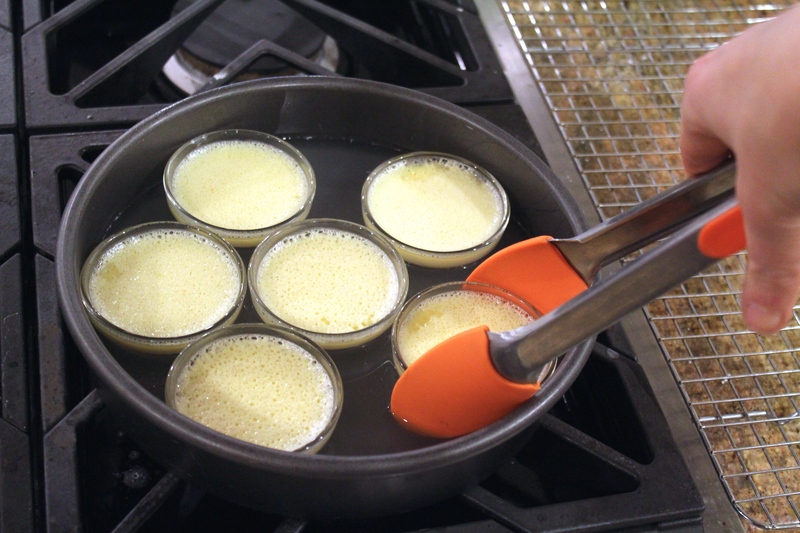 Use a kitchen torch to caramelize the top of each custard. 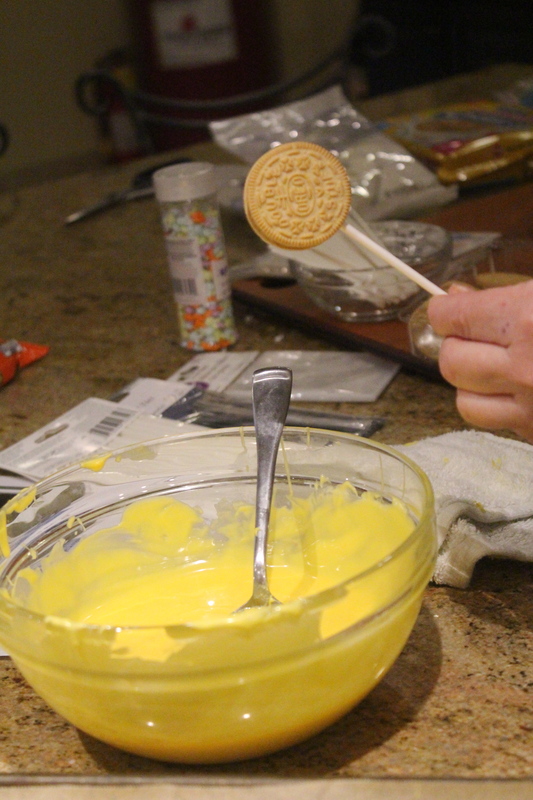 Let the custard rest for one minute. 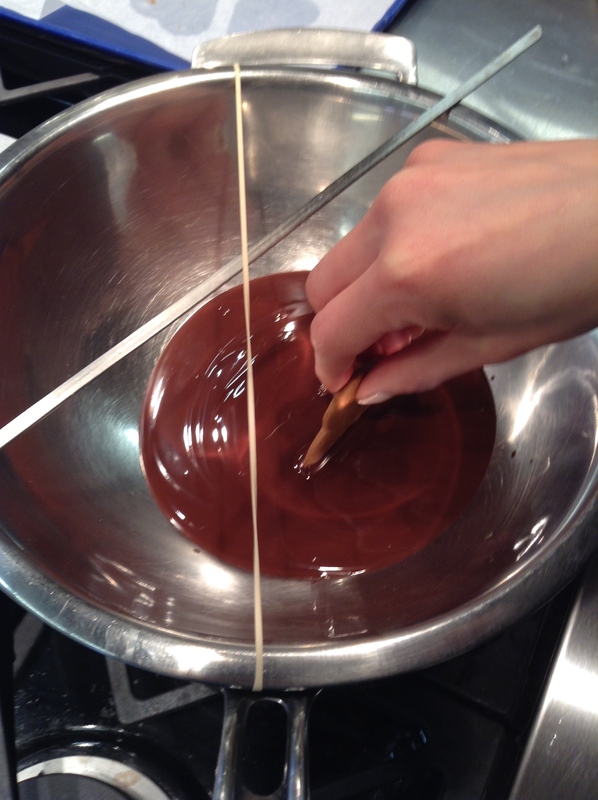 Place your stencil as close to the surface of the crème brûlée as possible. 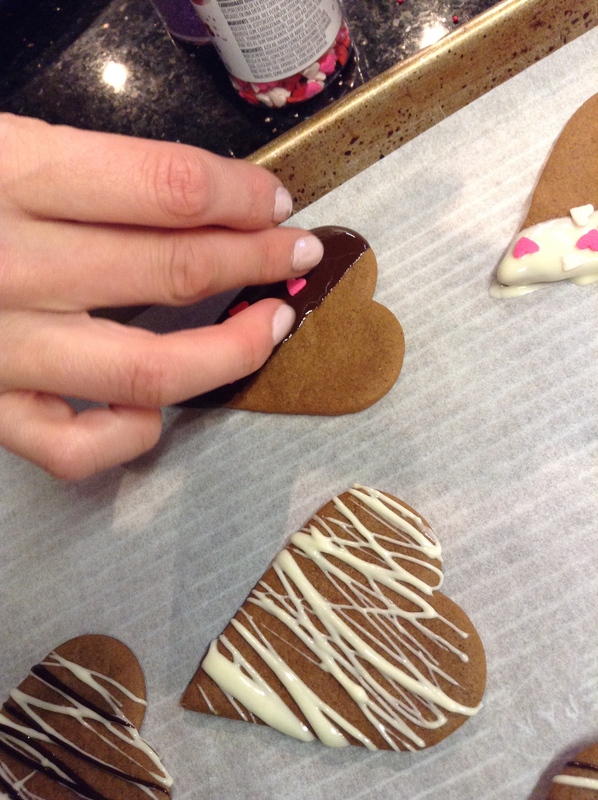 Sprinkle with powdered sugar and remove stencil. Add sugar-coated berries for garnish. Already a crème brûlée aficionado? 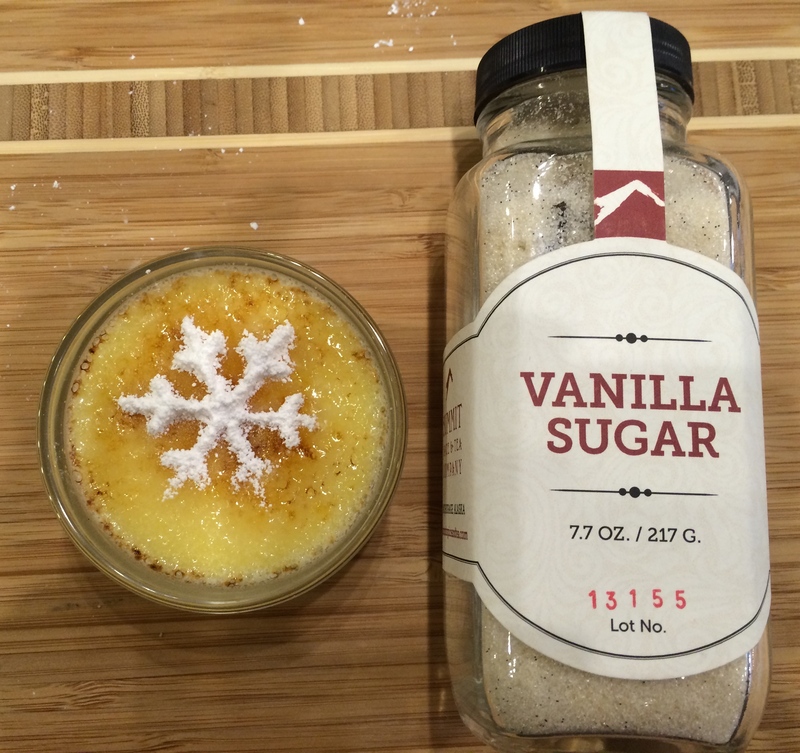 Using the Vanilla-infused sugar from Summit Spice adds an extra layer of flavor, and gives it those delectable flecks of vanilla bean. 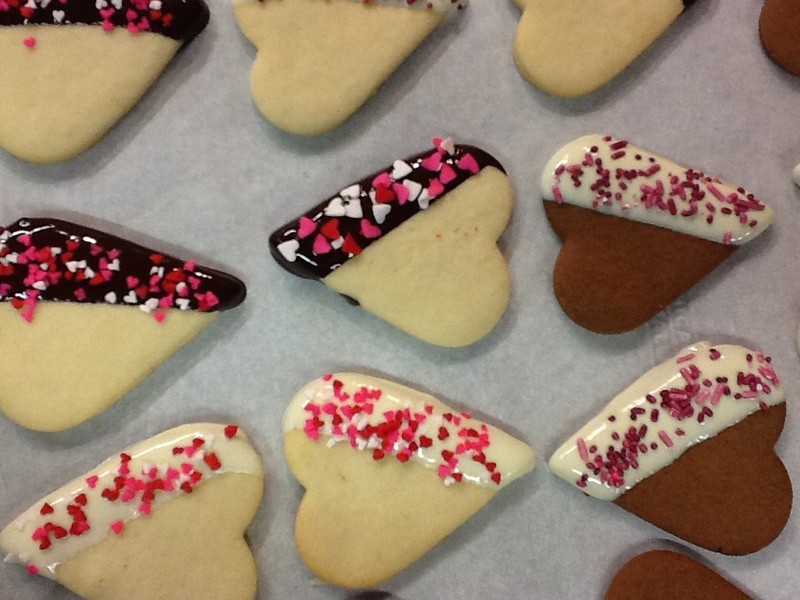 Dress it up even more using cappuccino stencils to create powdered sugar accents, and you’ve got a five star dessert. Looking for even more inspiration, and more excuses to use your torch—because, really, it’s super fun—check out the Crèmes Brûlées cookbook by Mastrad and learn how to make dozens of sweet - and even savory - crème brûlée recipes to bring some fanciness to your table! 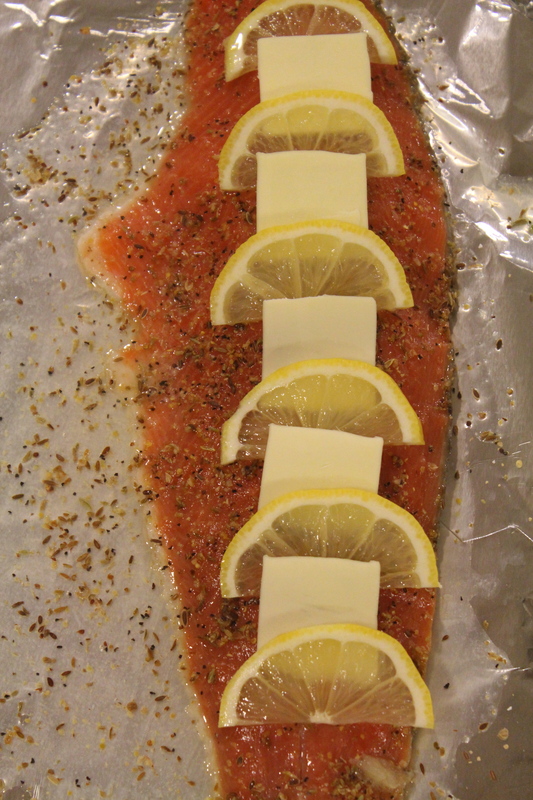 Recipes 8,9 & 10: Salmon for the Save! 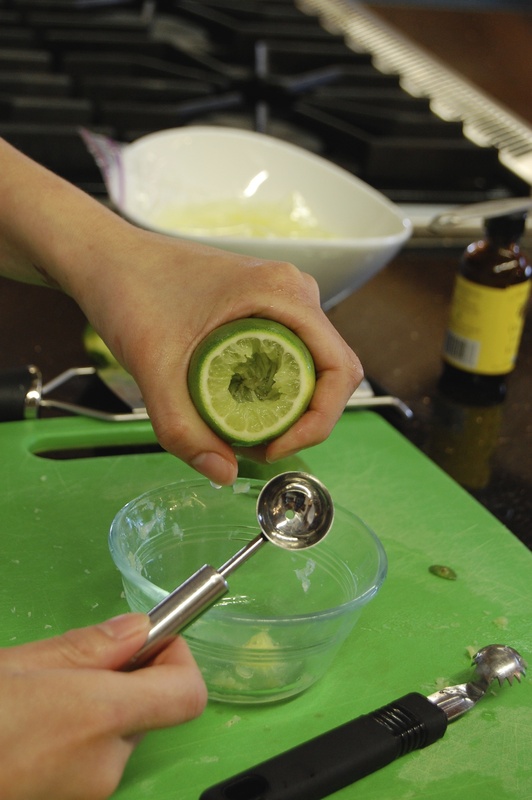 Combine all ingredients in bowl mix well, shape into cakes. 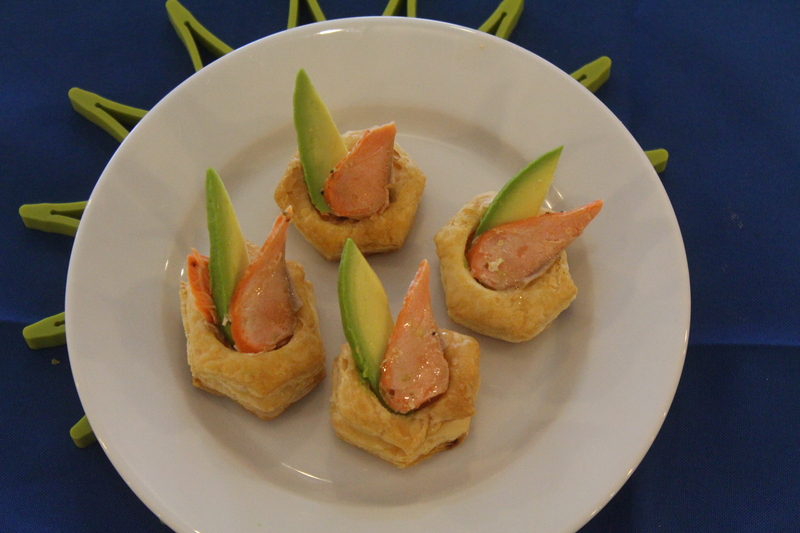 bake in oven 359 for 15 minutes garnish with Avocado and baked Salmon flake. 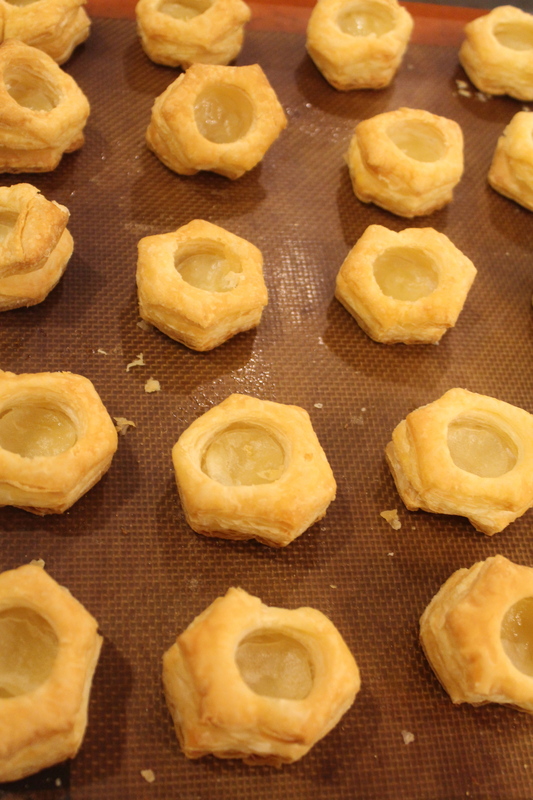 Bake Vol-au-Vent cases following the instructions on package. Allow to cool. 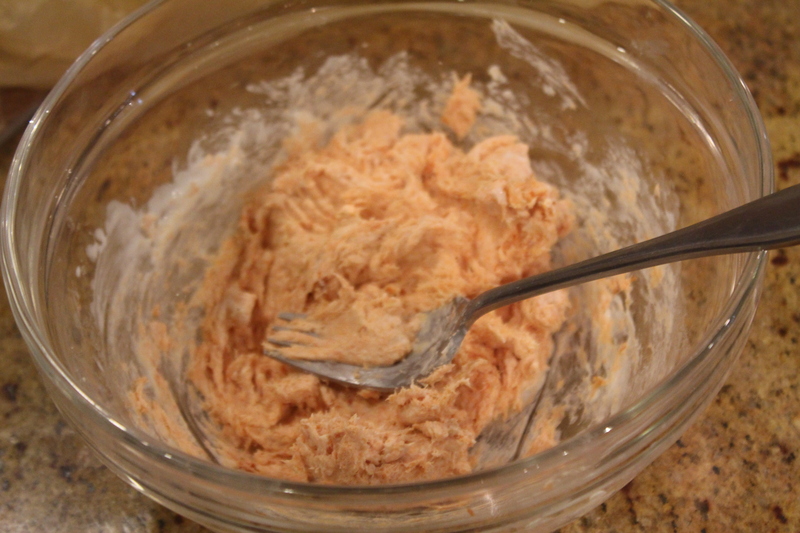 Mix smoked salmon, hot sauce and cream cheese until well blended. 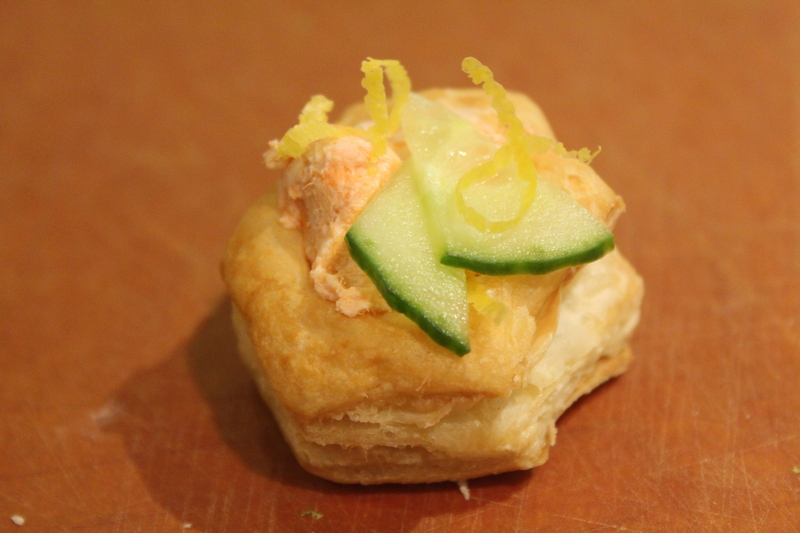 Spoon approximately 1/2 teaspoon of Salmon mixture into Vol-au-Vent puffs. 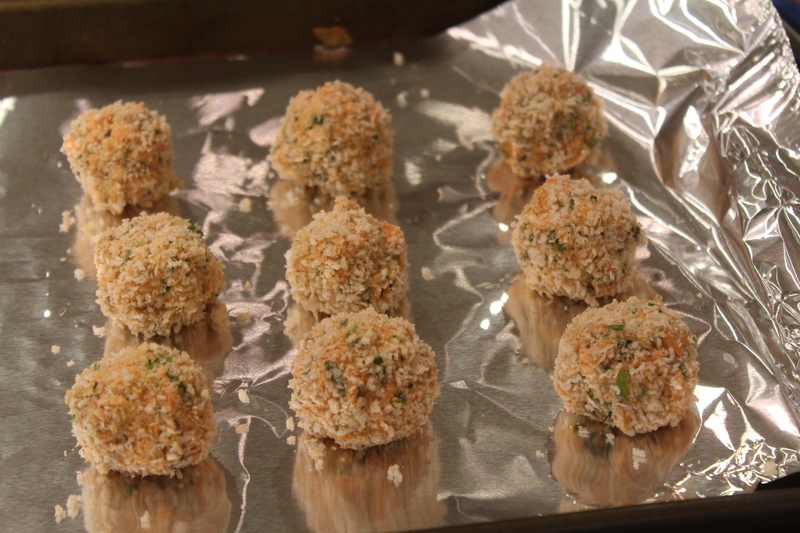 Sprinkle with chopped parsley. Serve. Slice cucumber. 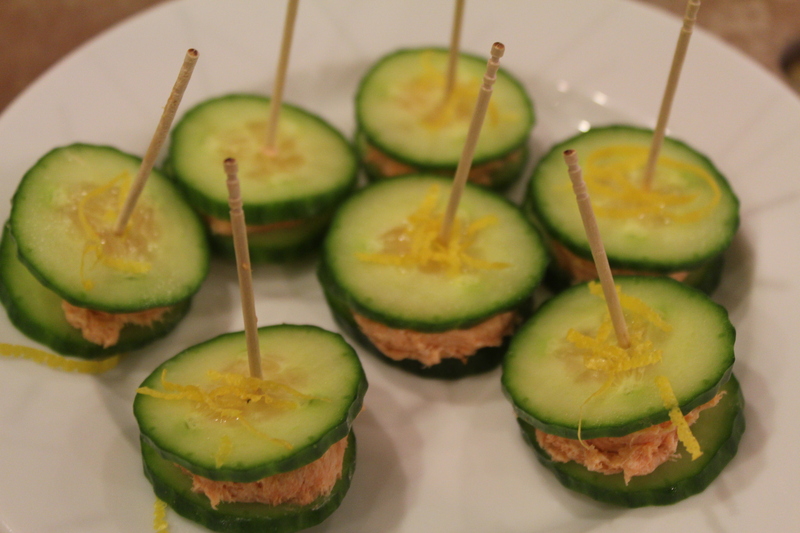 Spread smoked salmon mixture between two slices of cucumber. Hold together with toothpick. 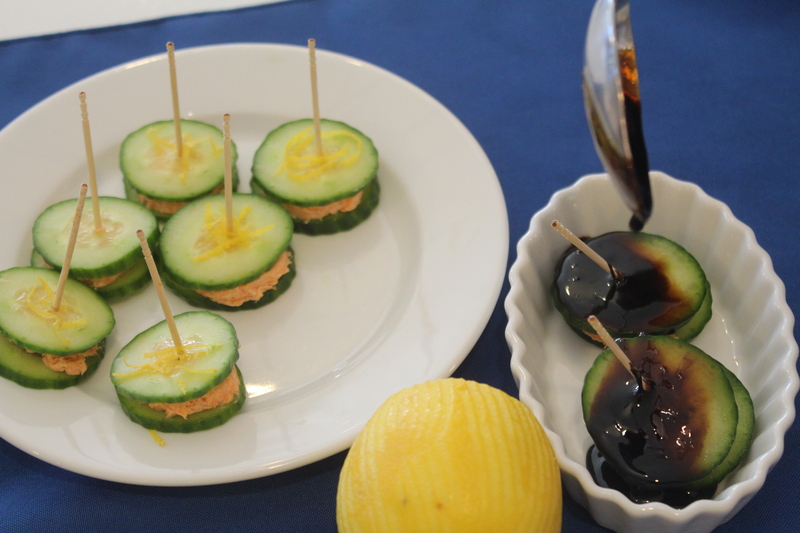 Garnish with lemon rind or dip in a Balsamic Vinegar reduction. 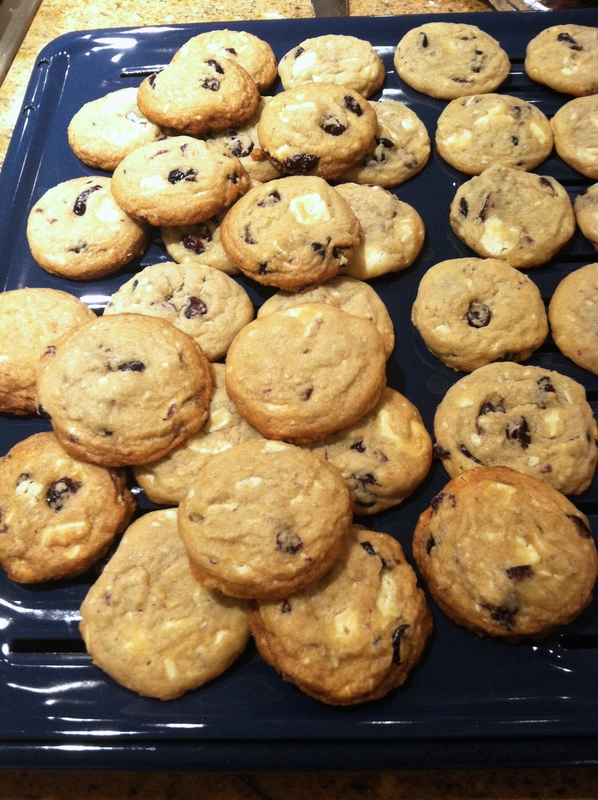 Make sure you have your cookie jar stocked, because these flavors make one surprisingly amazing team! 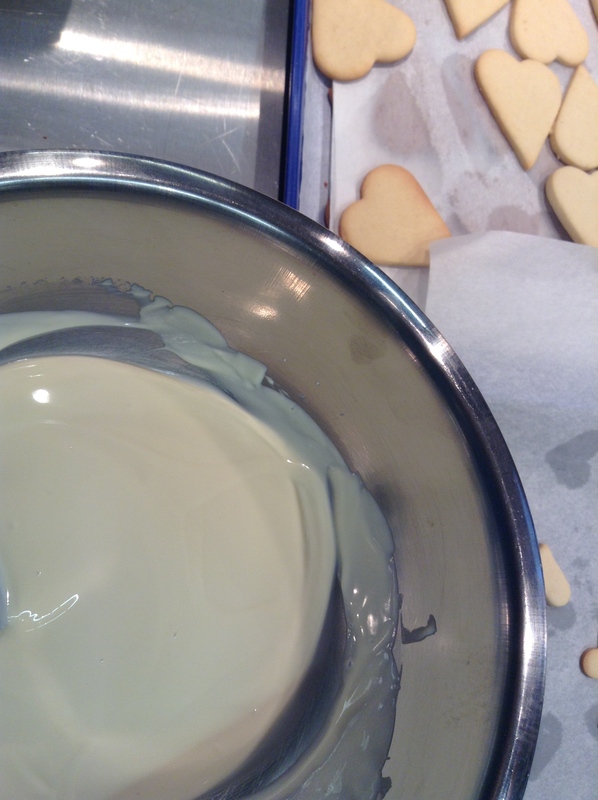 Using a KitchenAid stand mixer fitted with flat beater, cream butter and sugars until almost white. Add egg and mix well. 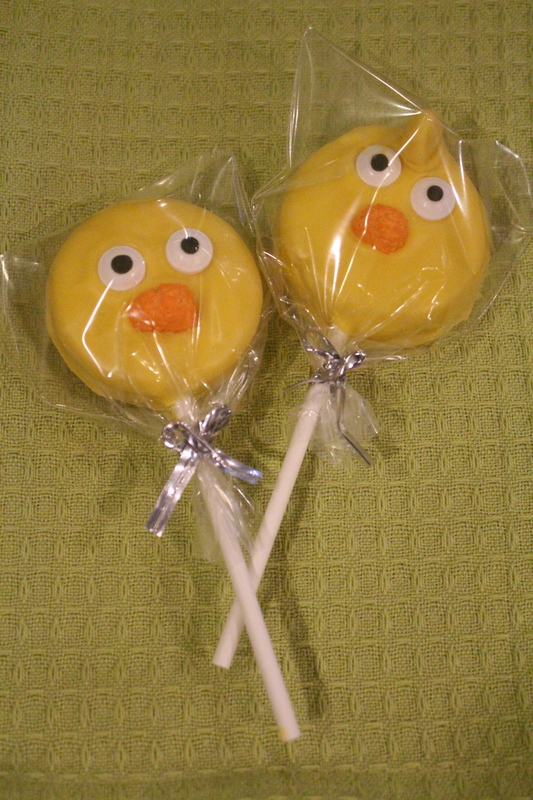 Add baking soda and flour. Mix until completely combined. 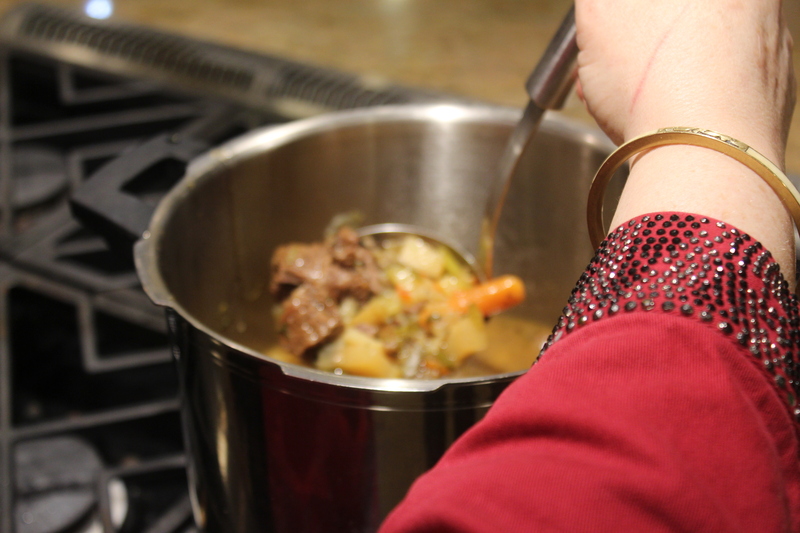 Stir in craisins and callets. 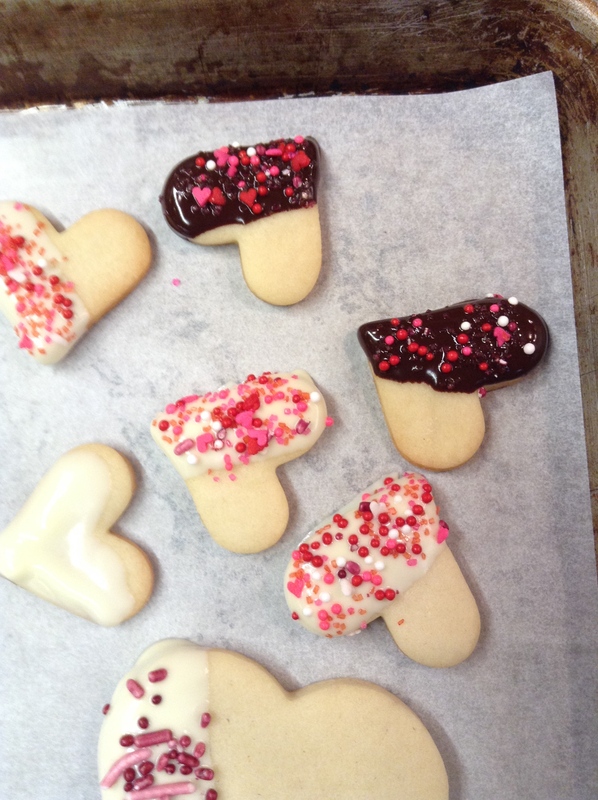 Using a portion cookie scoop, drop dough onto cookie sheet lined with a Silpat mat.